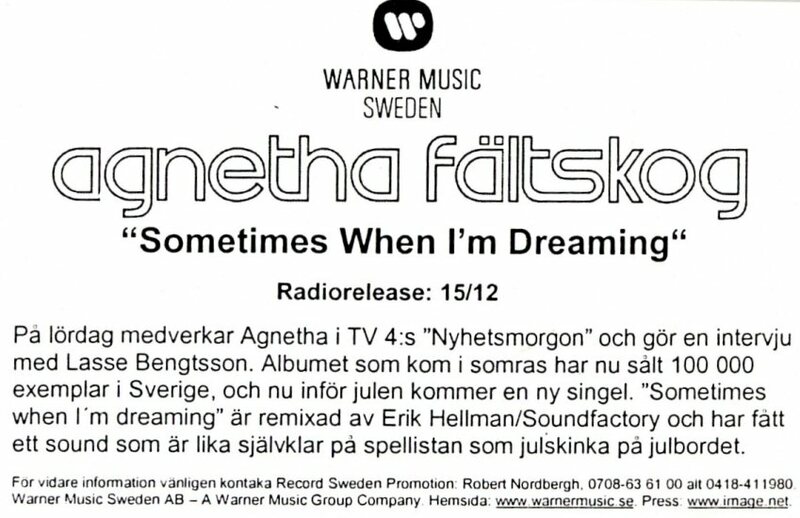 Finally after 17 years of silence Agnetha decided to do comeback and signed contract with Warner Music. This press release came on January 27, 2004. 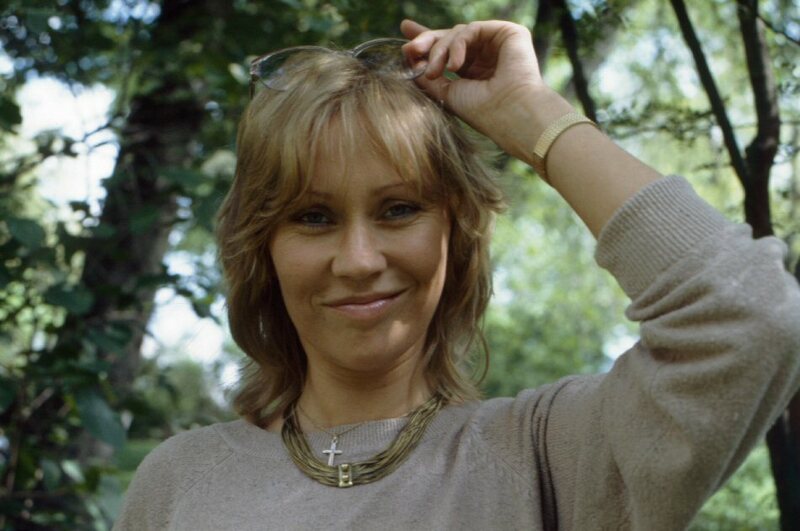 Jonas Siljemark, President of Warner Music Scandinavia, announced today that the company has signed a worldwide recording agreement with Agnetha Fältskog for the release of her first recorded material in 17 years. It is the Swedish superstar’s first album since the 1987 Warner Music release “I Stand Alone.” That album was produced by former Chicago front man Peter Cetera. 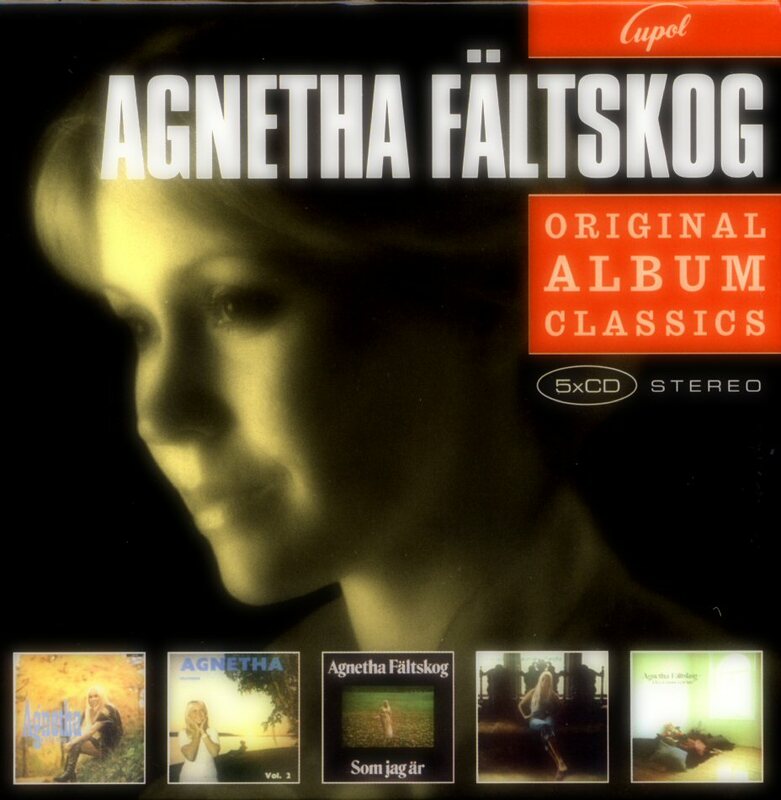 The album – an acoustic set featuring a complete orchestra – is co-produced by Agnetha with pianist and bandleader Anders Neglin and drummer/producer Dan Strömkvist. 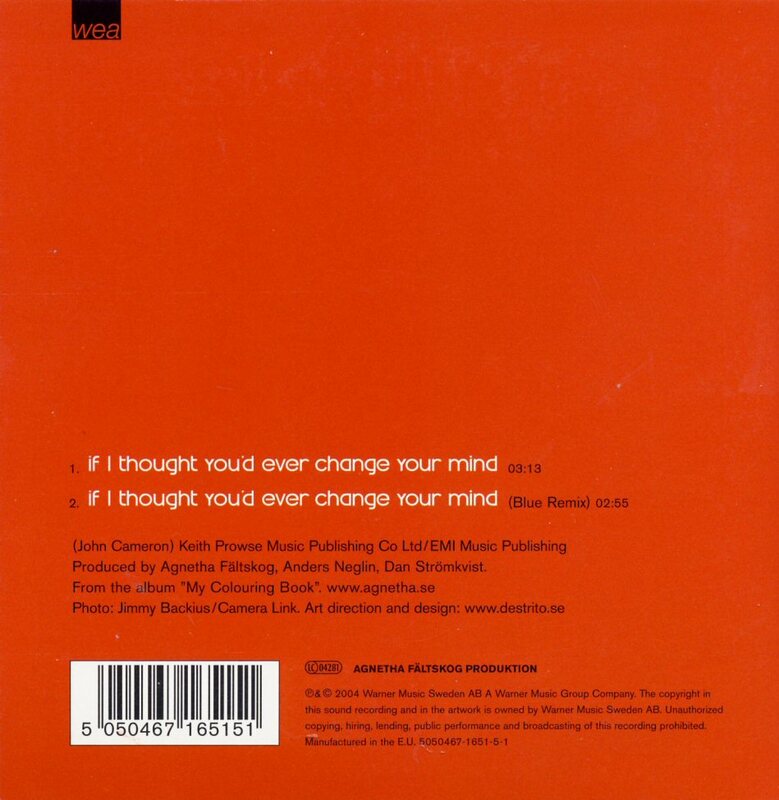 The lead single from the album is “If I Thought You'd Ever Change Your Mind,” a song composed by John Cameron. 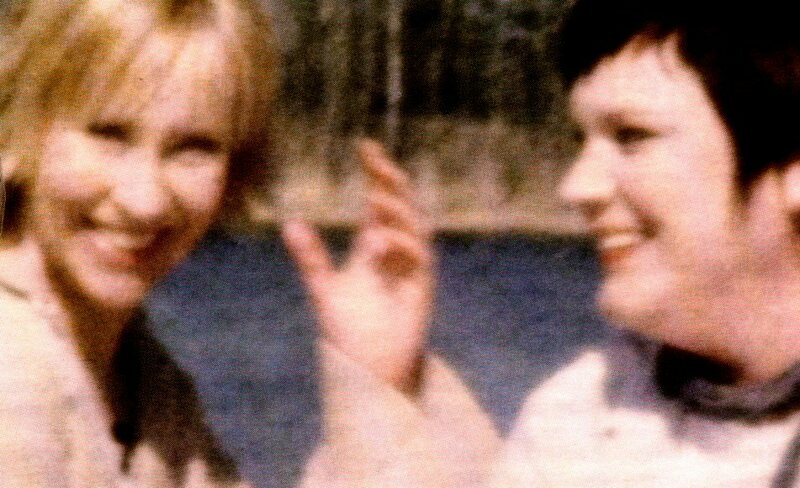 The first pictures were published in "Expressen" and "Aftonbladet" on 4 March 2004. 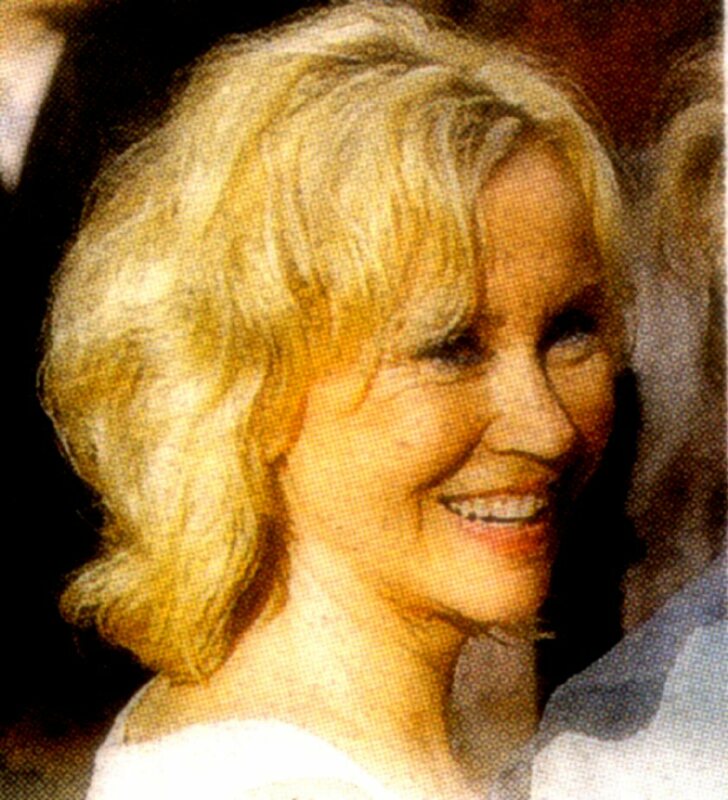 The premiere of the new Agnetha single "If I thought you'd ever change your mind" on Radio Rix FM in Stockholm, March 8, 2004 at 7.40 a.m. German TV team was in the studio and filmed. 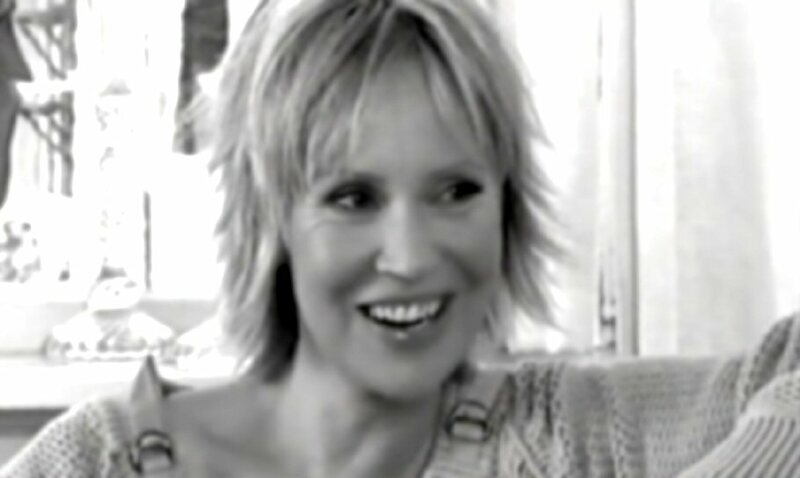 Agnetha gave her first interview to TV4 on 9 April 2004. 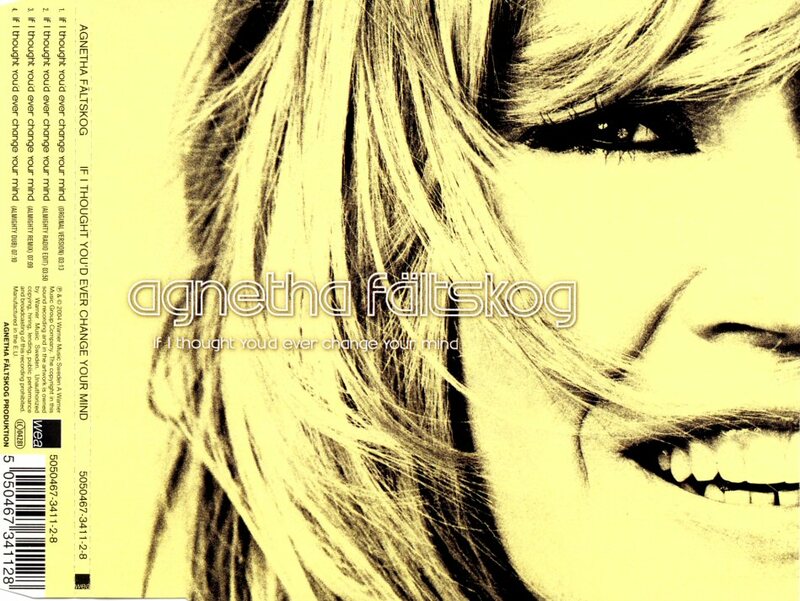 The interview was recorded by Kristian Luuk on the Ekerö island where Agnetha lives during making of the documentary "Agnetha". 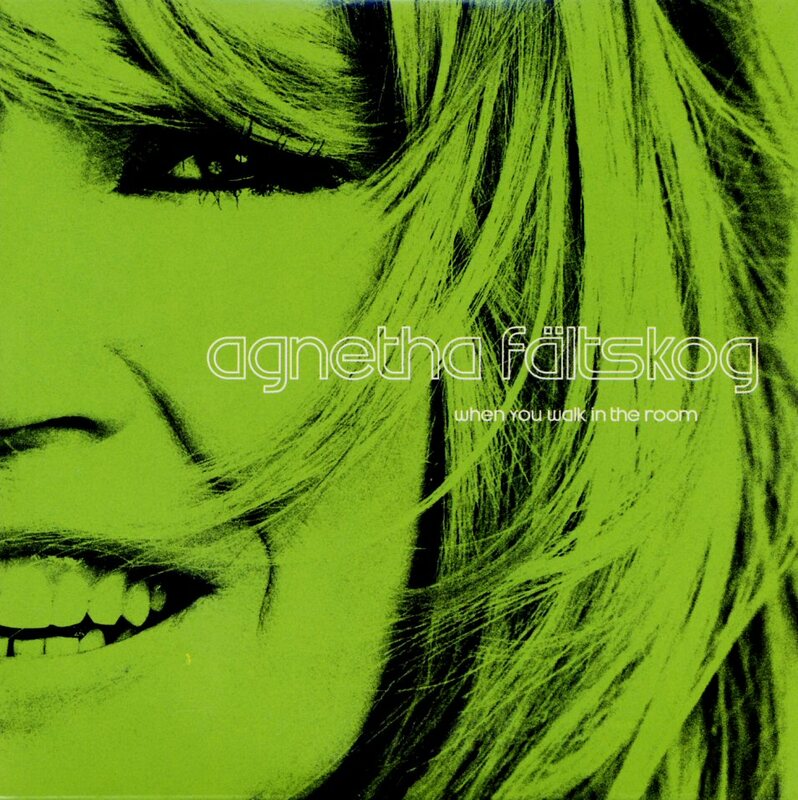 Kristian Luuk: Hello over there, Agnetha. AF: Thank you very much. Very well indeed. AF: Well, right now I don't know exactly. But we are on Ekerö in the middle of a film recording. We are working with 25-30-minute-TV special. KL: Happy birthday, by the way. It was on Monday, wasn't it? AF: Mmmm. Thank you very much. KL: A new album is coming now. The first one for 17 years. Tell us about it. Was it fun to record this album? AF: Oh yes it was great fun. I've been working with this project for 4 years now. It is wonderful that the album will be released now and that it is so good. KL: How did you choose the songs? AF: I listened to hundreds, thousands of songs during very long time. It wasn't easy to choose the best ones. These songs mean a lot to me. 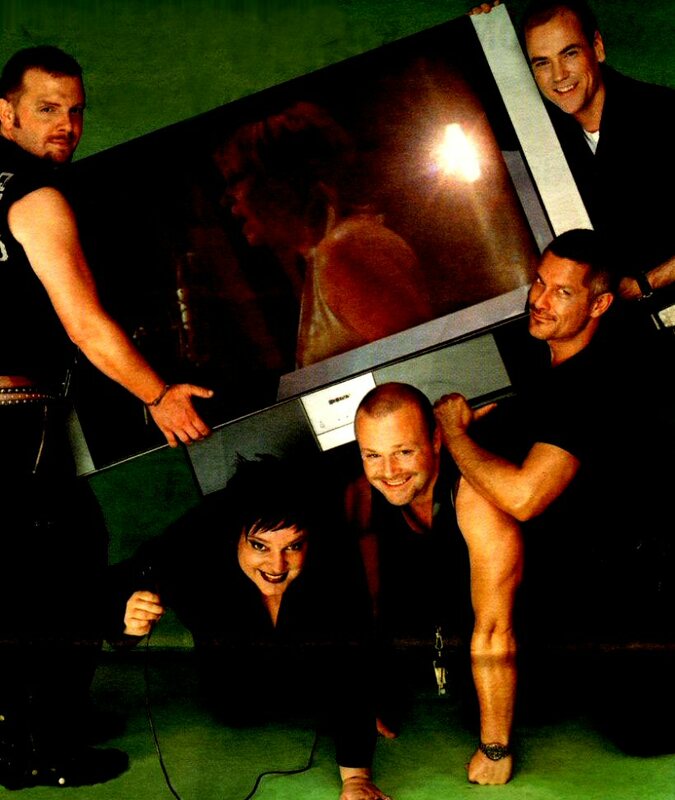 They are in my heart and even the artists are very important for me. 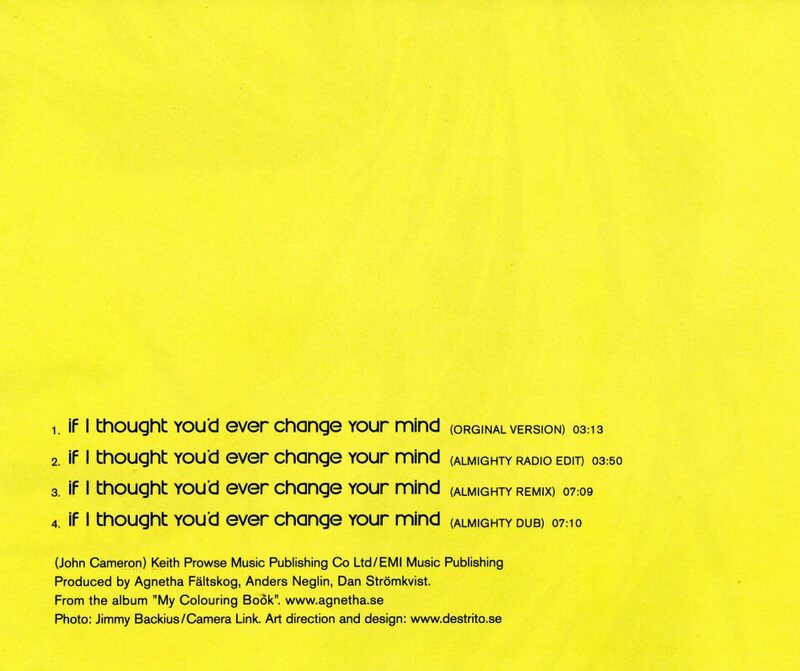 KL: We will see and hear you new video - what does this song "If I thought You'd Ever Change Your Mind" mean to you? KL: We want to wish you a very happy Easter before you go. AF: The same to you and all of you watching this programme. 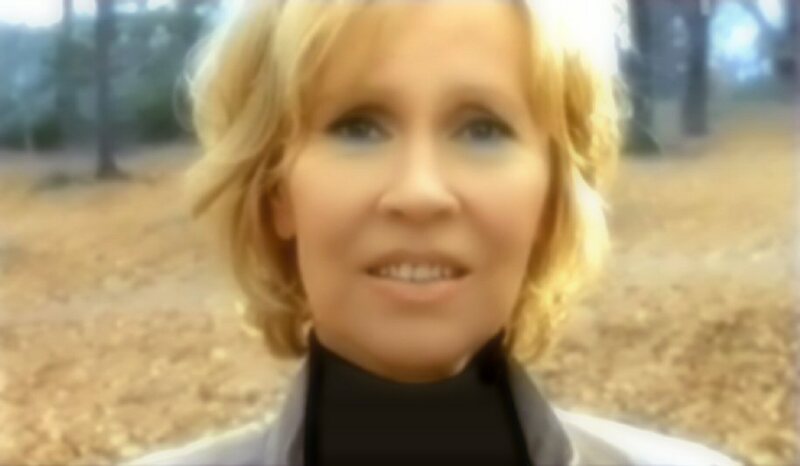 The video to "If I thought You'd ever change your Mind" featured Agnetha in the recording studio with musicians in the background. The video had its premiere in Sweden on TV4 after the interview. 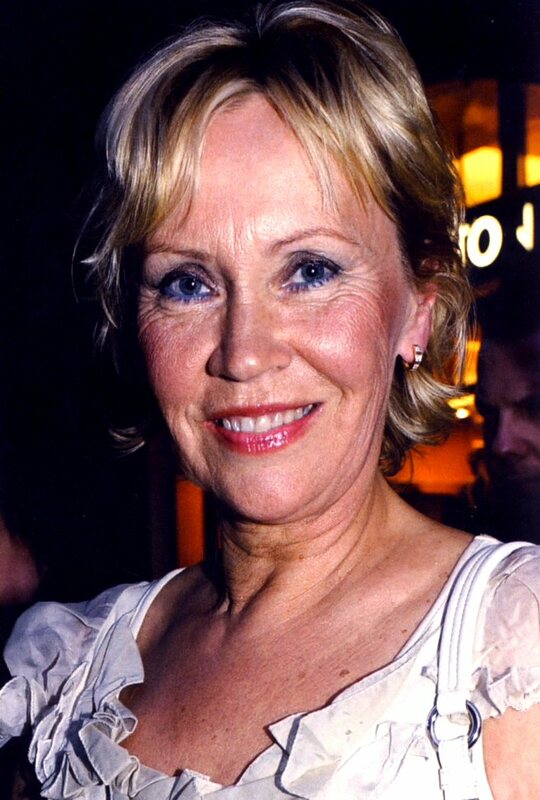 At the same time that the first interview with Agnetha was recorded for TV4, Swedish TV was filming the documentary which would be entitled simply "Agnetha" and broadcasted at the beginning of June in SVT channel 1. 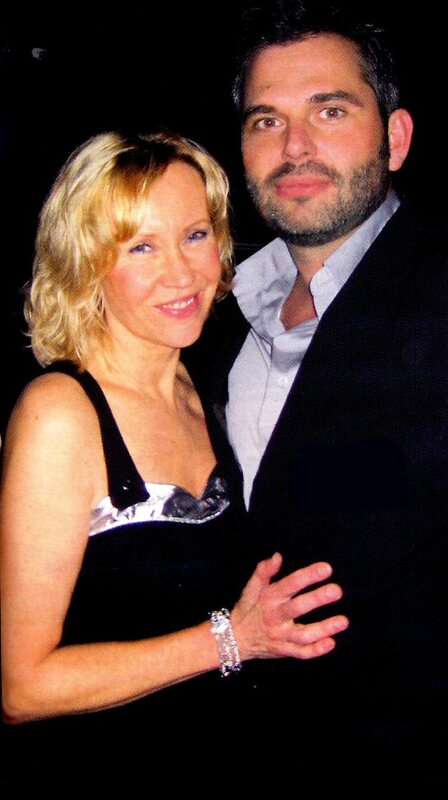 Agnetha acted together with Swedish actor Magnus Kreper in several small films filmed for each video. 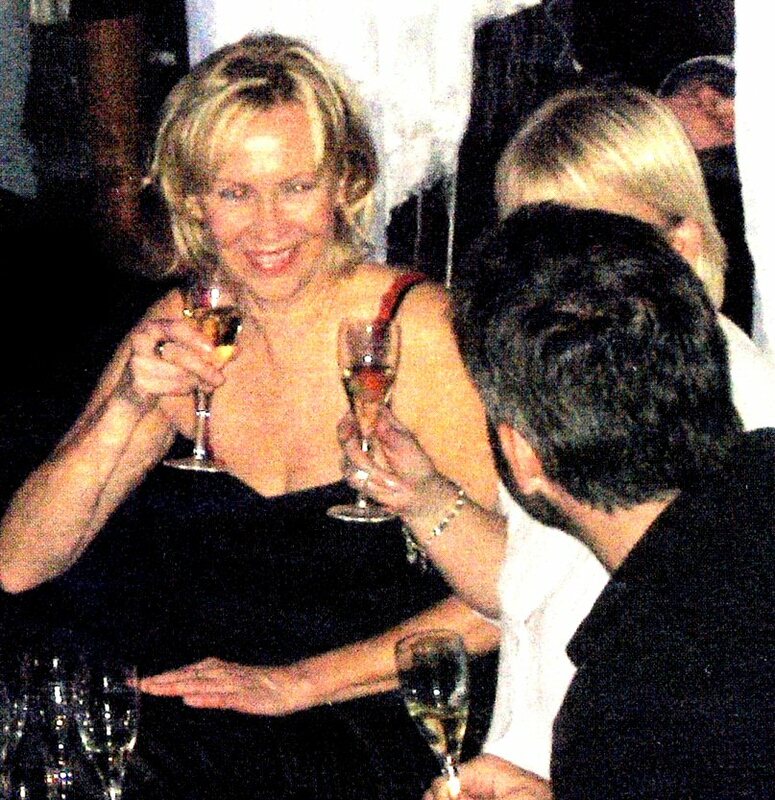 Agnetha wanted to celebrate the release only with her friends. No journalists, no TV, no press at all. 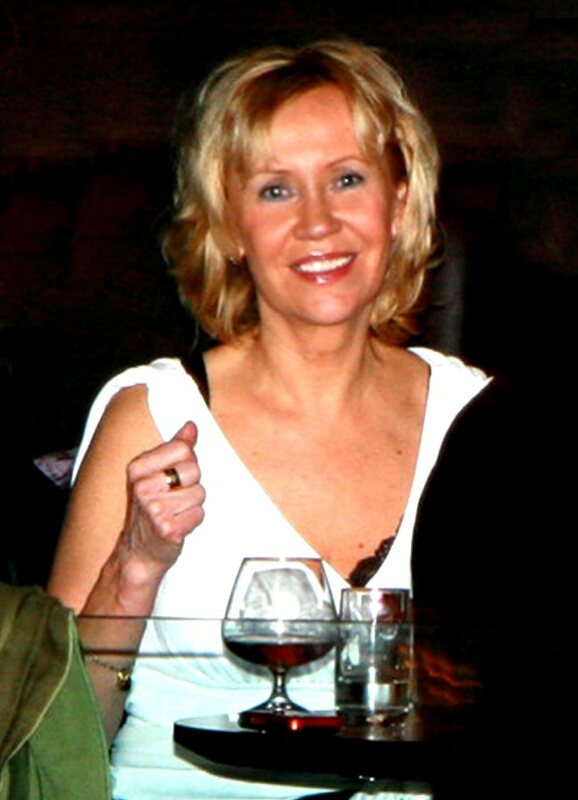 People standing close Agnetha were invited to the party on 19 April 2004 at Berns in Stockholm. The star was very happy and talked to many of people who were there. She appeared on stage and talked about the album. 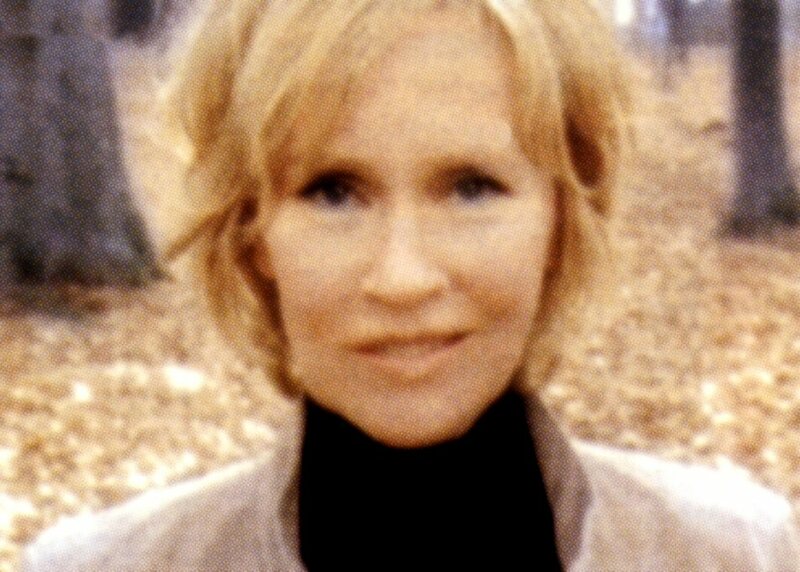 Excerpts from her documentary were shown on the big screen. 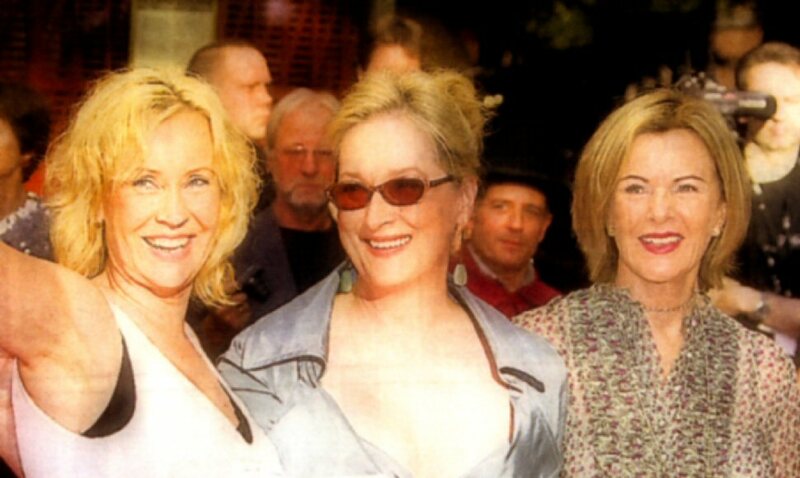 Agnetha had several security guards following her everywhere. The party was over at 2 o'clock in the night. 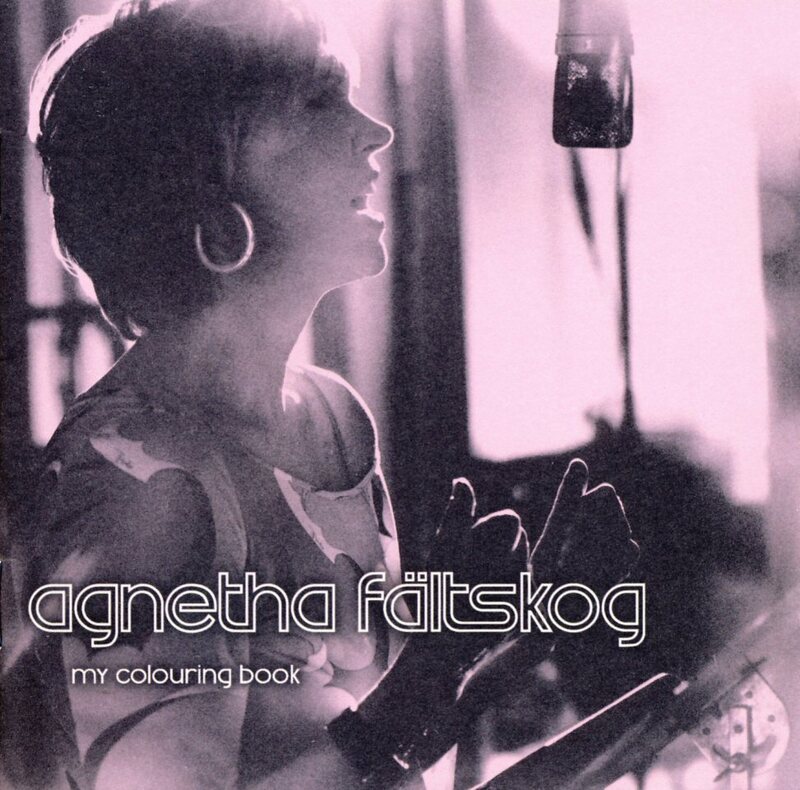 The album "My Colouring Book" was released in Sweden on 21 April 2004. 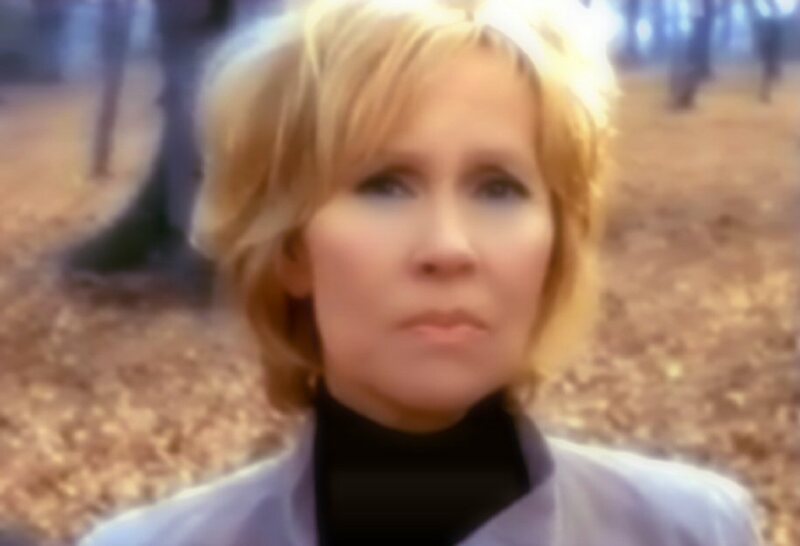 Expressen & Aftonbladet about the Agnetha documentary. 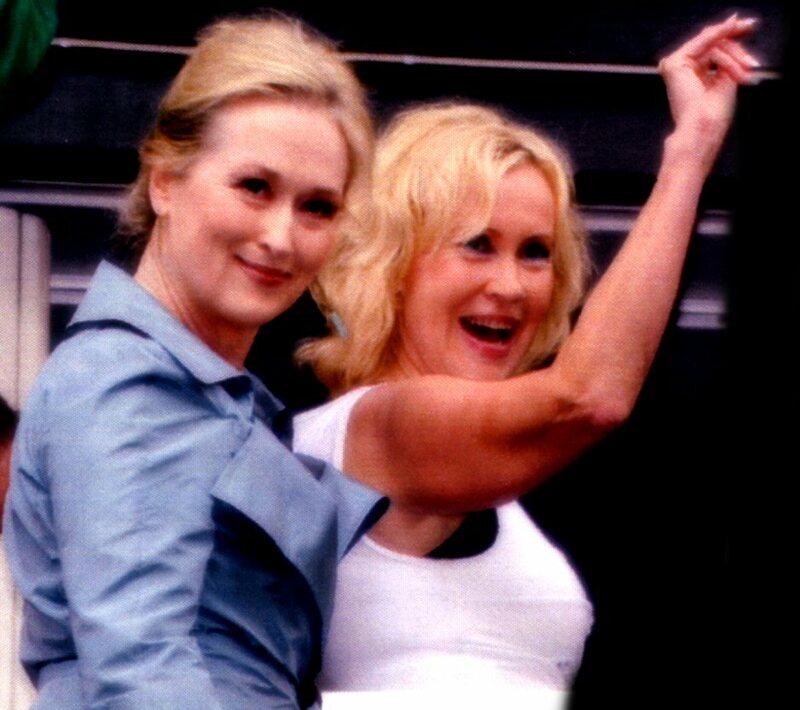 "I was very happy to be chosen by Agnetha". 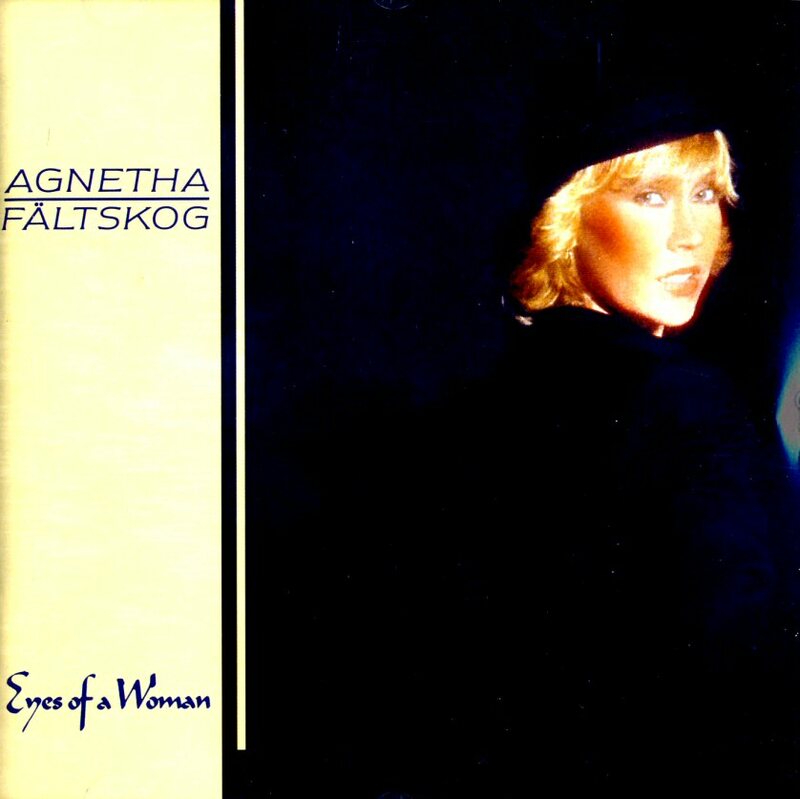 Agnetha Fältskog wanted to decide herself who would make the first interview with her since 1987. 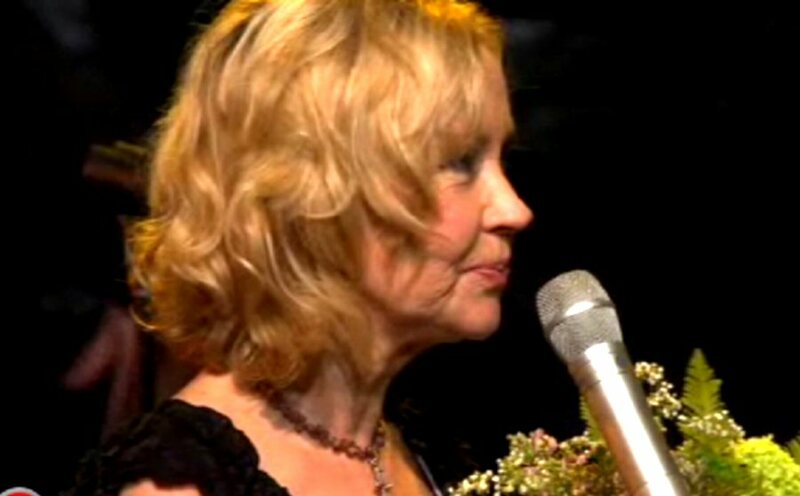 She chose the SVT journalist Lotta Bromé. -I was very happy and proud that she wanted to talk with me, says Lotta Bromé to Expressen. 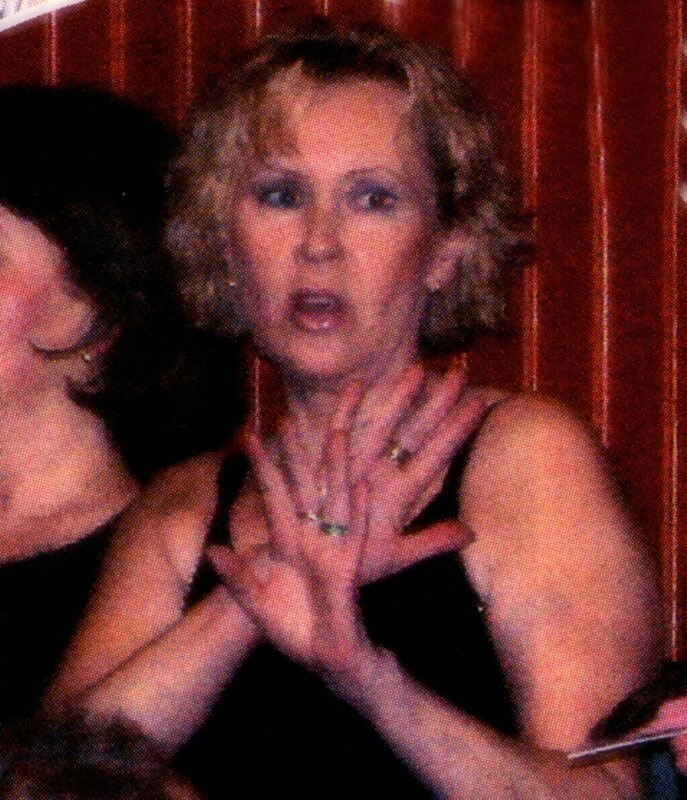 The former ABBA star had decided not to give any more interviews. But she liked the idea of making a TV documentary about her comeback album "My Colouring Book". 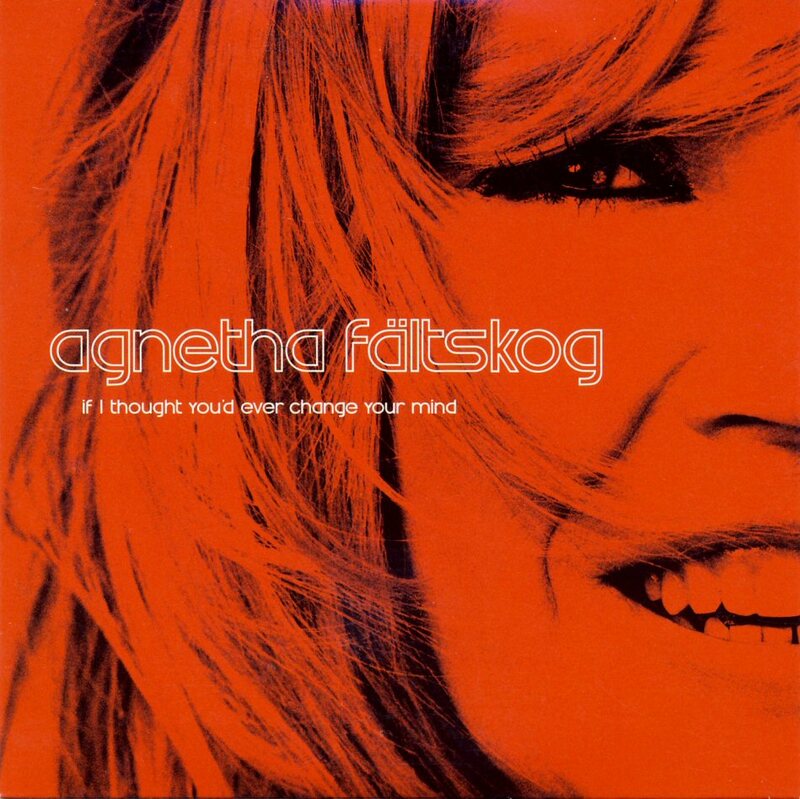 Agnetha Fältskog wanted to have a full control over the production - the deal said that if she would not like something it would be directly thrown away. 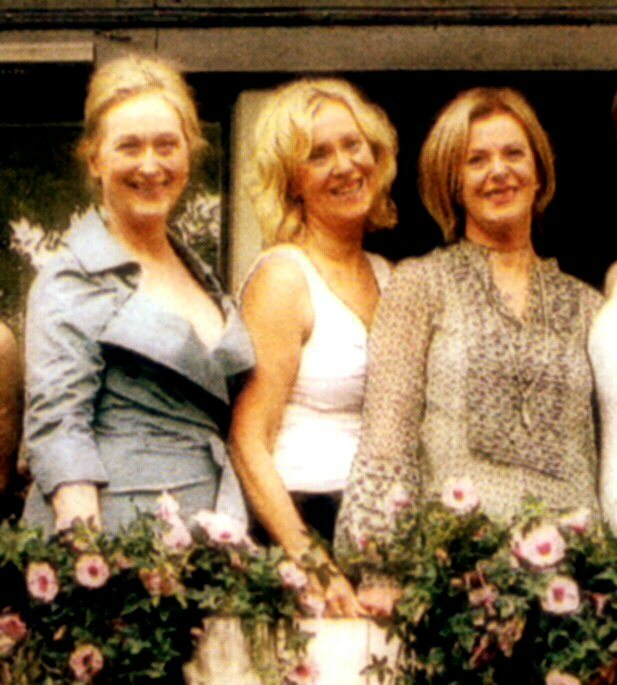 During the Easter the star was asked who she would like to talk to. 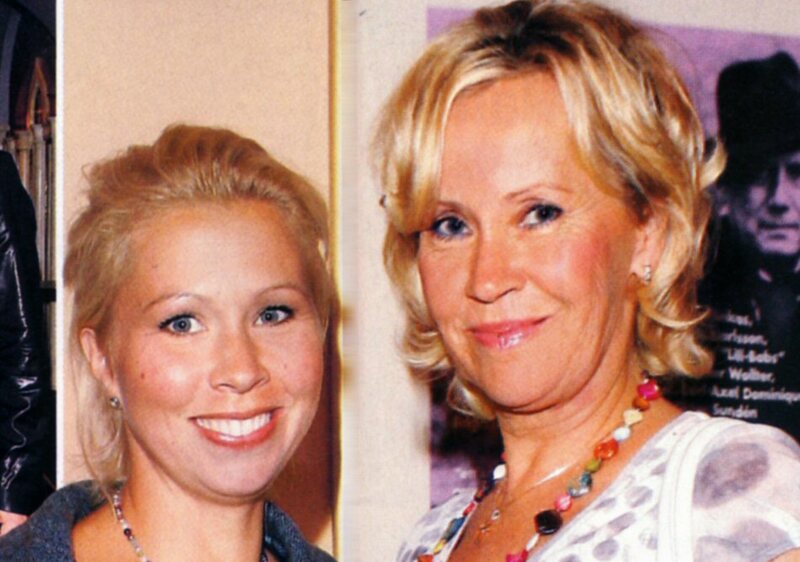 When the name Lotta Bromé came up Agnetha said spontaneously: "She is very nice". Shortly after that the singer and the journalist met each other. 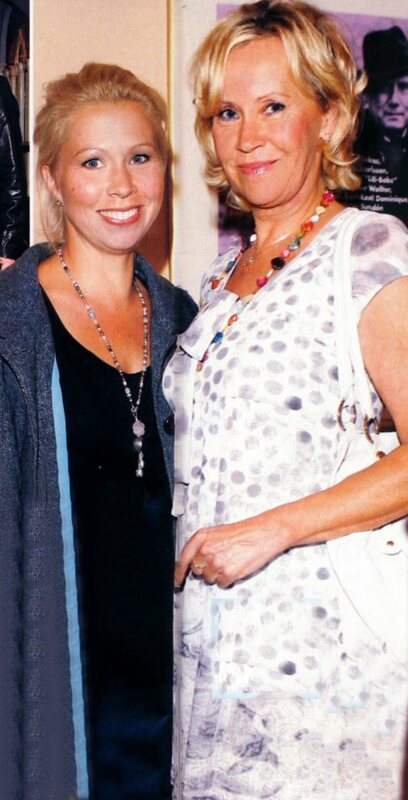 Lotta Bromé: "I was very happy that she wanted me to talk with her. It is a big honour for me. I am very happy that she trust me. -No, I choose not to comment this. 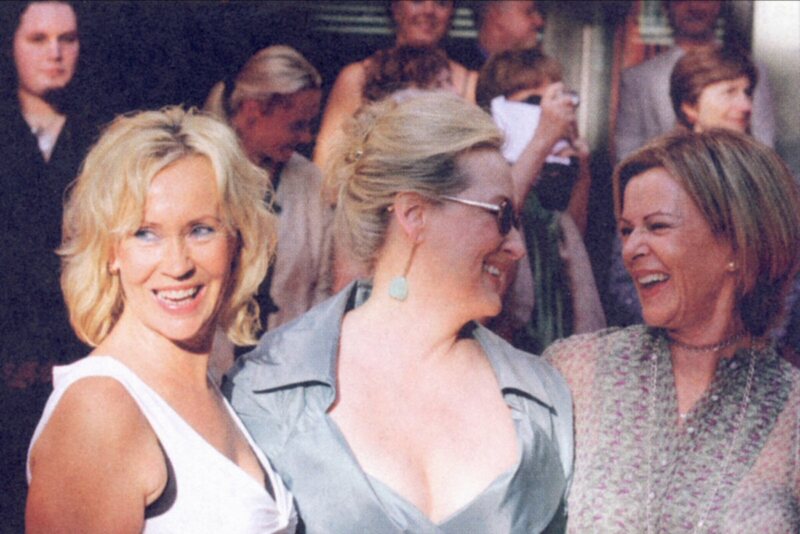 All that I can say is that we trust each other, says Lotta. 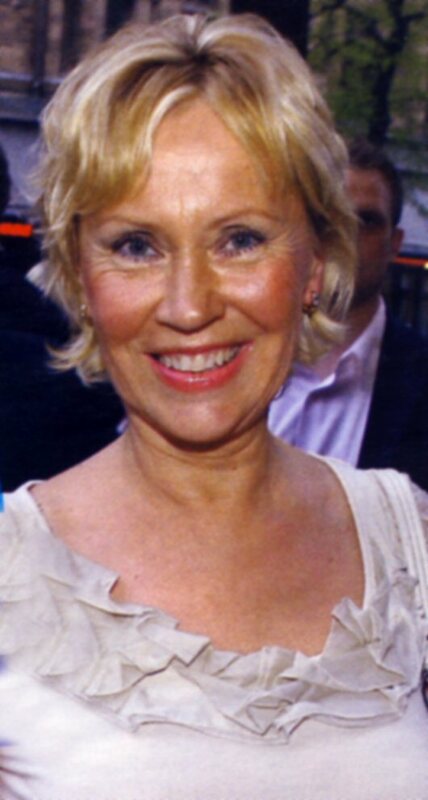 In the documentary Agnetha is talking very openly about the time with ABBA and after. She explains also why she does not want to be in focus. -She is a very strong woman with a strong integrity and I think it is a great quality. She is going to explain it, says Lotta Bromé. 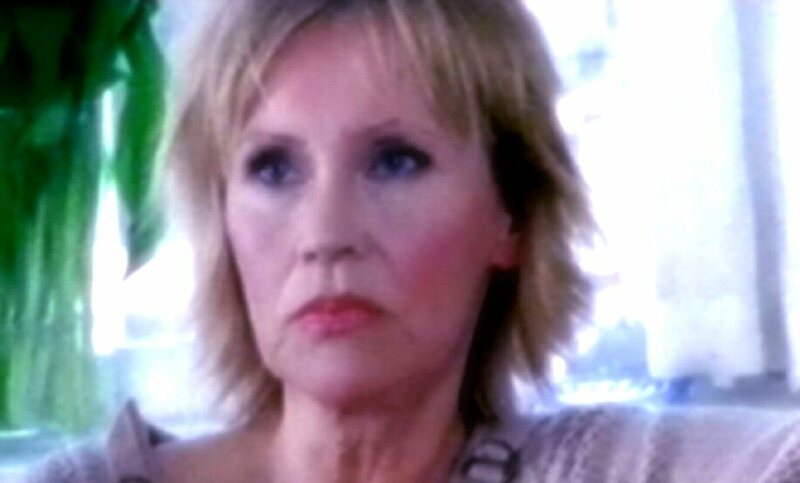 The documentary "Agnetha" was broadcasted on SVT1 on June 4 at 8 pm. 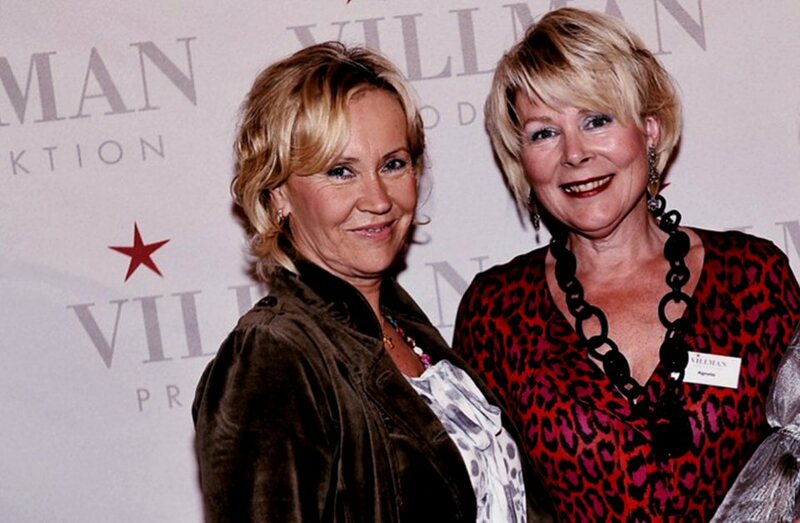 The team behind the Agnetha documentary was interviewed by the gay paper "QX". 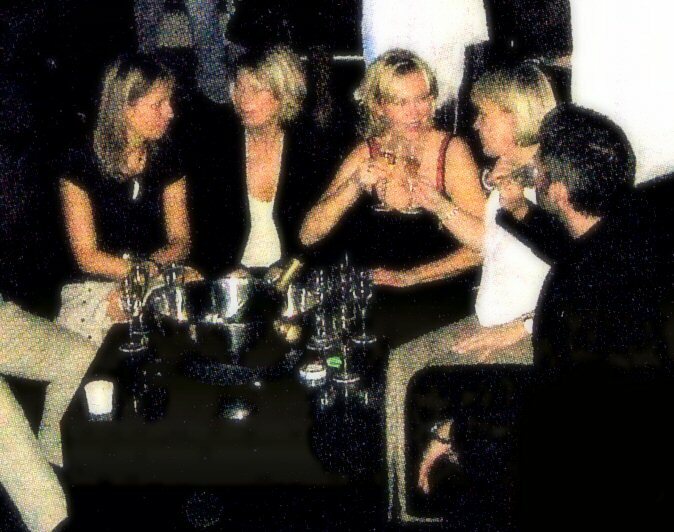 "Agnetha's own Fab5". 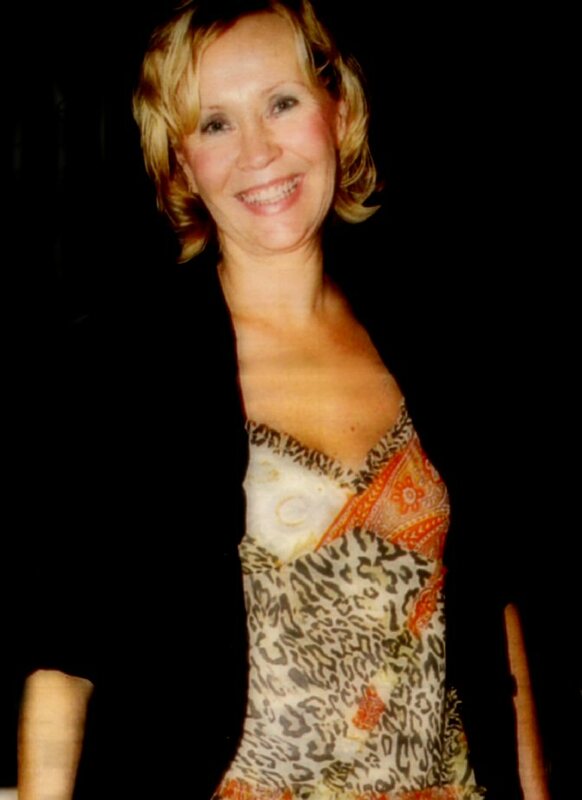 Agnetha enjoys working with gay people and feel herself comfortable in their presence. 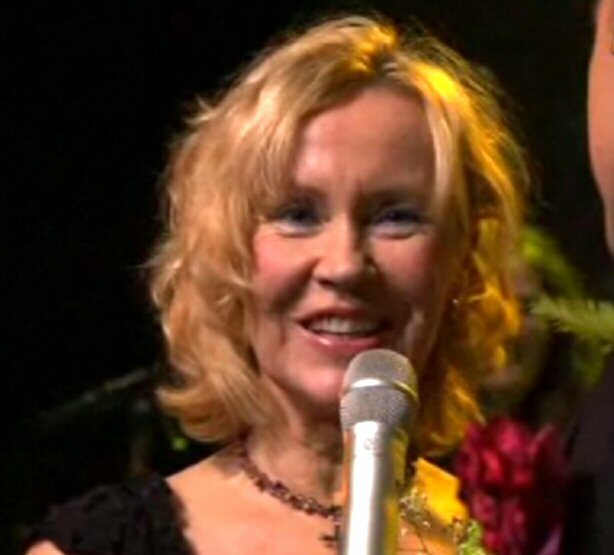 This great cooperation made Agnetha to decide to give this interview. 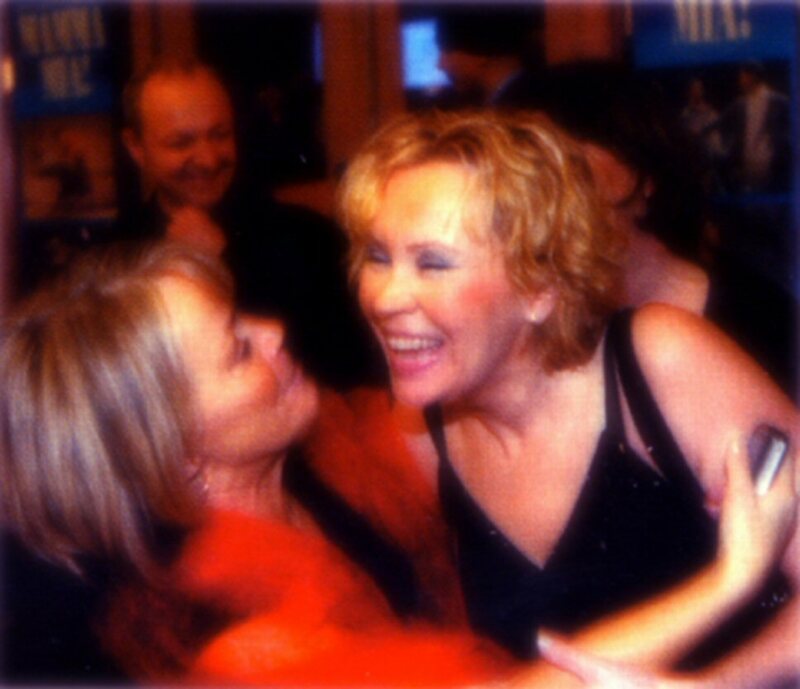 Agnetha: "It was the funniest interview I've ever done..."
"I felt I was maybe not too old to make one more album. But I wasn't sure if my voice was still there. I did not sing at all during the silent years." "My dream was to be a singer on my own rights." -Did you want to be famous? "I did not think about being famous so much. I wanted to sing." "The hysteria in Australia was extreme. I was scared many times, afraid that there would be injured people in the crowd." "I need silence. I get stressed by noise. I can be disturbed by the sound of a plane flying above. 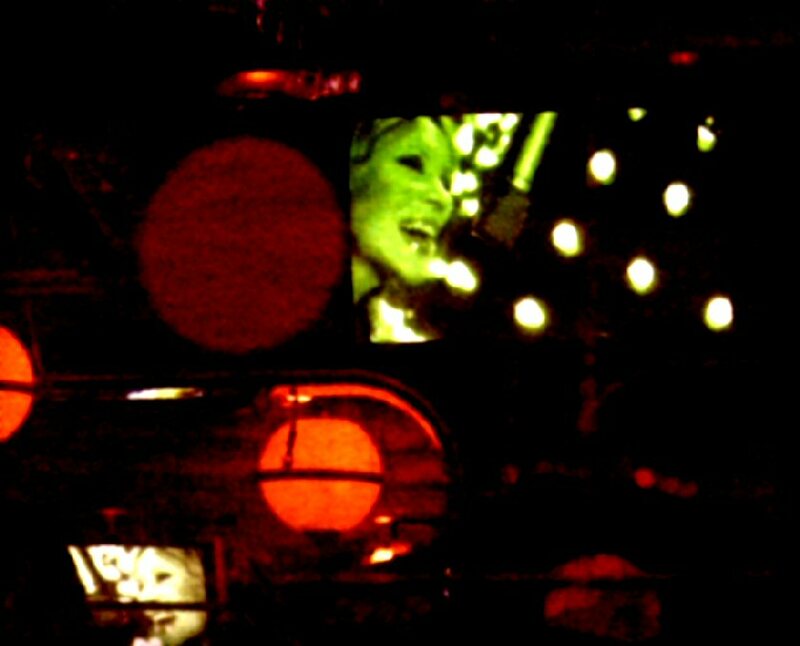 "My silent period lasted for 5-6 years maybe even more - 10 years. 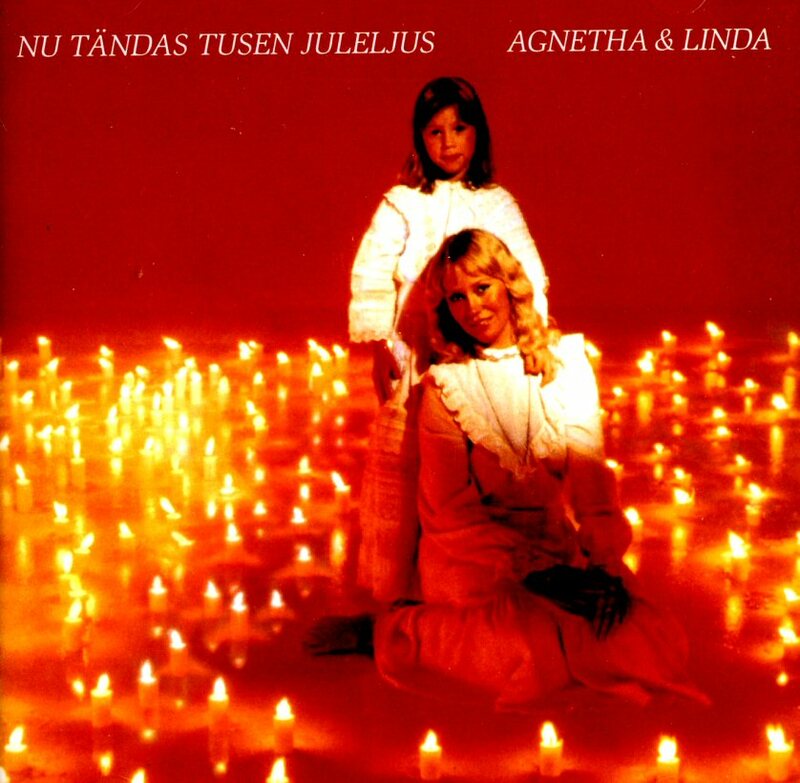 I didn't want to listen to ABBA music or any other music". Why does this album contain only covers? "I always wrote my own music. 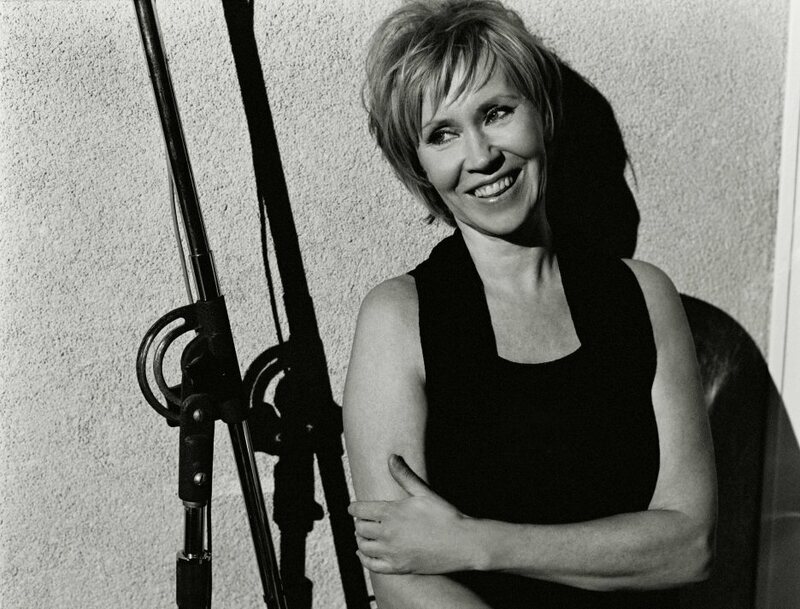 Now when I decided to do a new album I thought that it would be great to sing my old favorites." 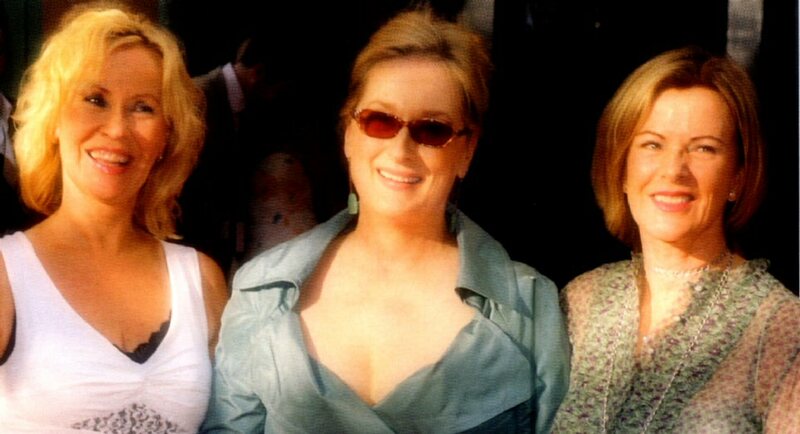 "I wanted to work with Michael B Tretow. He knows me so well and we like to work together. So we started this project but he became ill. He is much better now, thanks God." "I love working in the studio. 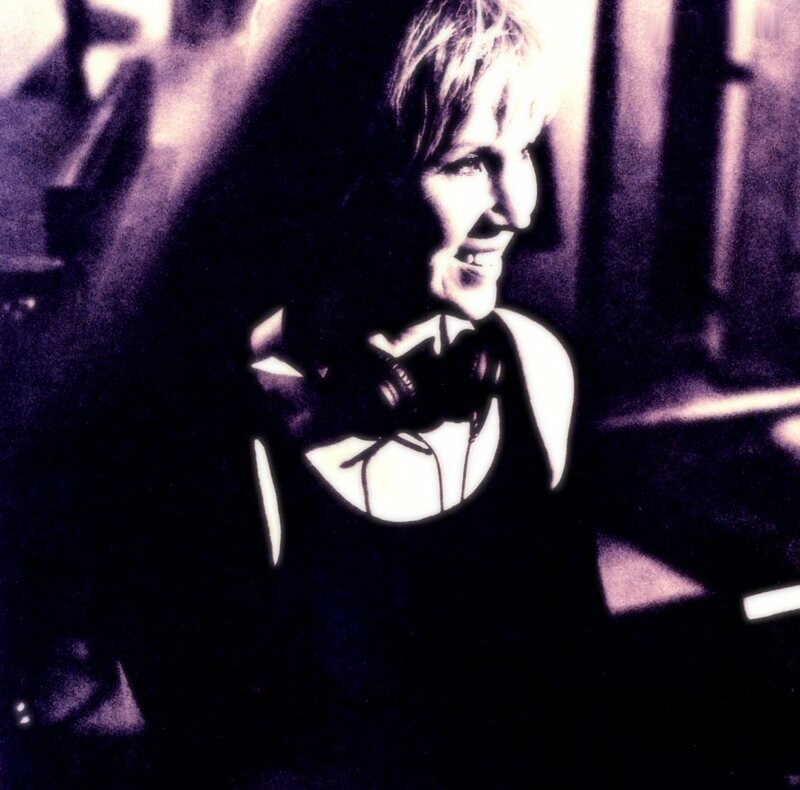 I have lots of ideas but I don't know so much about the technical side of the recording." "Past Present Future is a sad song. I fall for sad, tragic songs. This one is one of them but quite special because I don't sing here, I talk." 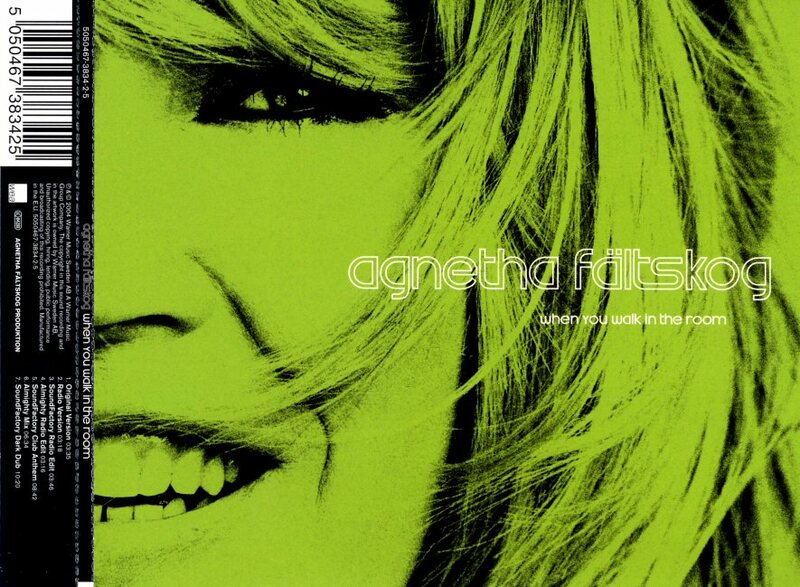 Is Agnetha today different to ABBA-Agnetha? "I am the same person but more in harmony. 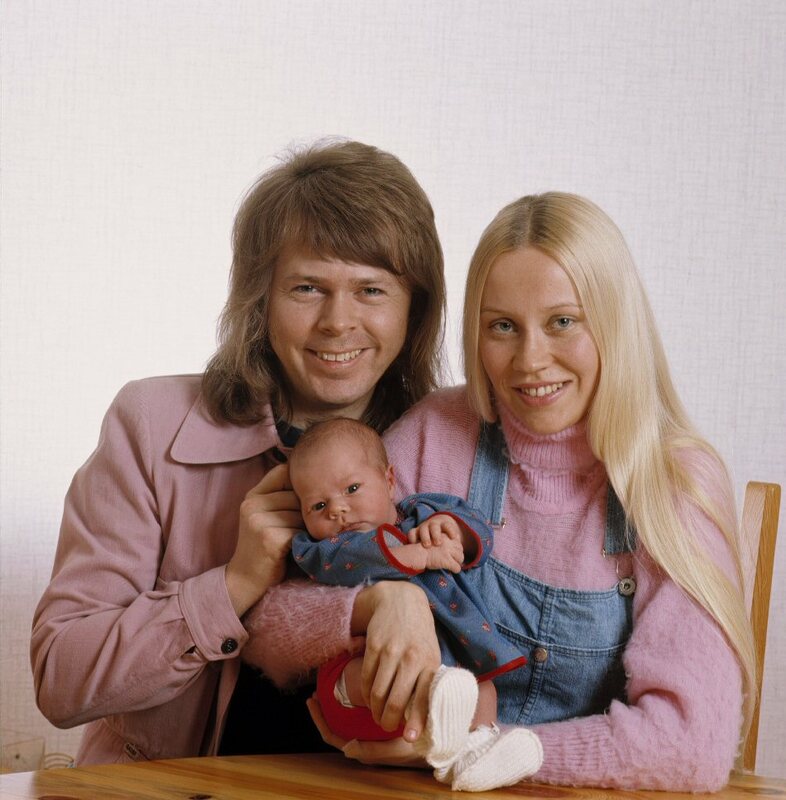 During the ABBA period it was chaos. We had also small children. I tried to be a good mother and I think I was." "I am not coward but I am afraid of flying. I feel bad when I know that someone in my family is flying. I know that it is secure but I am afraid anyway." "I am not seeking adventure. It's not my style. I have lots of feelings." 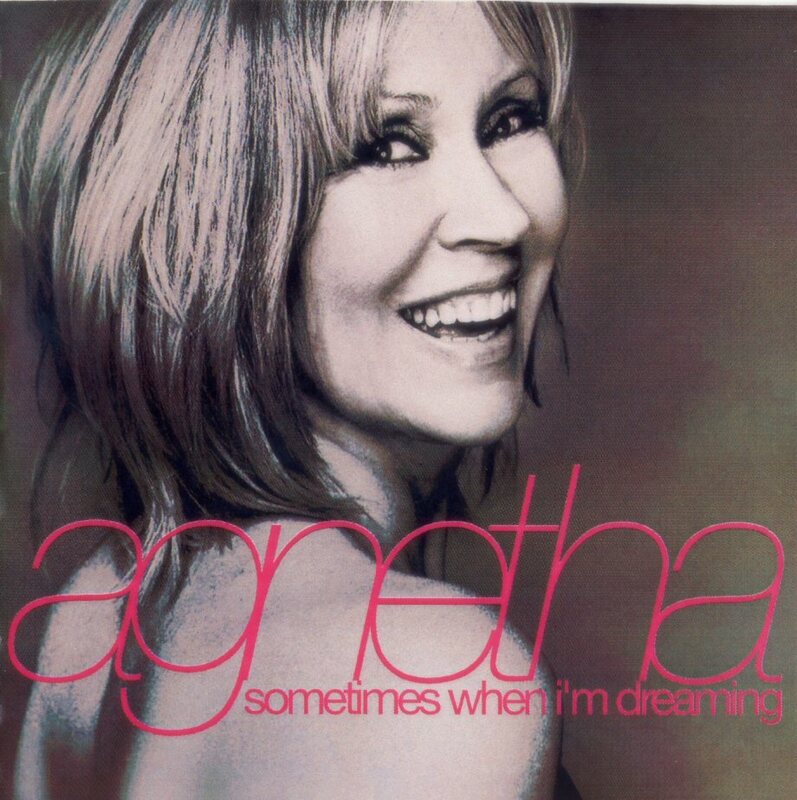 "Sometimes when I'm dreaming is a little favorite on the album. One more sad song - typical me." "Love has to be happy but it isn't many times. You have to fight. I say congratulations to those you found real love. I can dream about such a love." 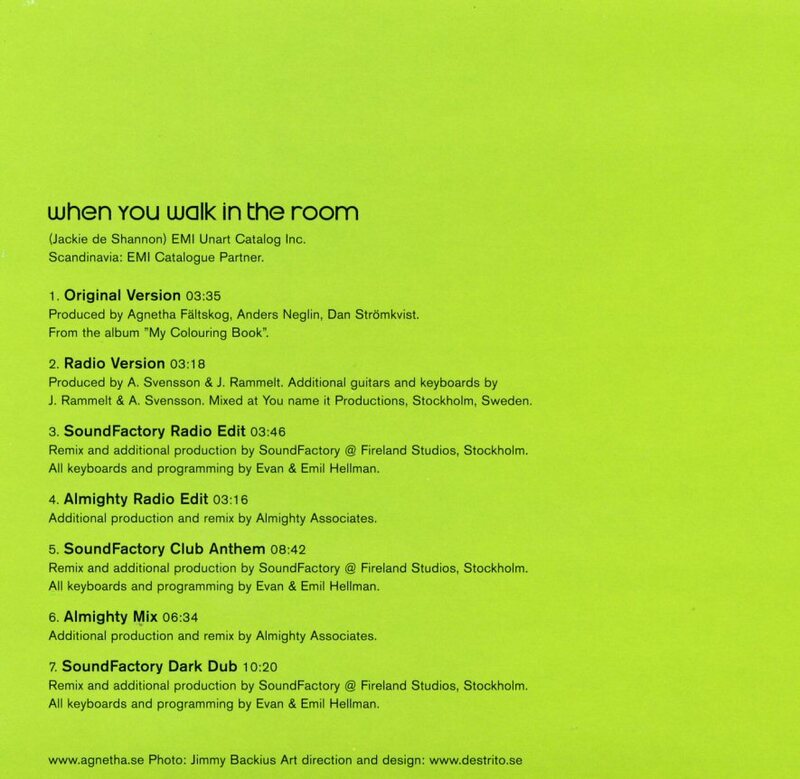 "I know what I want but sometimes I have difficult to explain it..."
The second single selection from My Colouring Book was the title "When You Walk in the Room" which was released in three different versions on 9 June 2004 (in Sweden). Totally 7 mixes of the song were available. 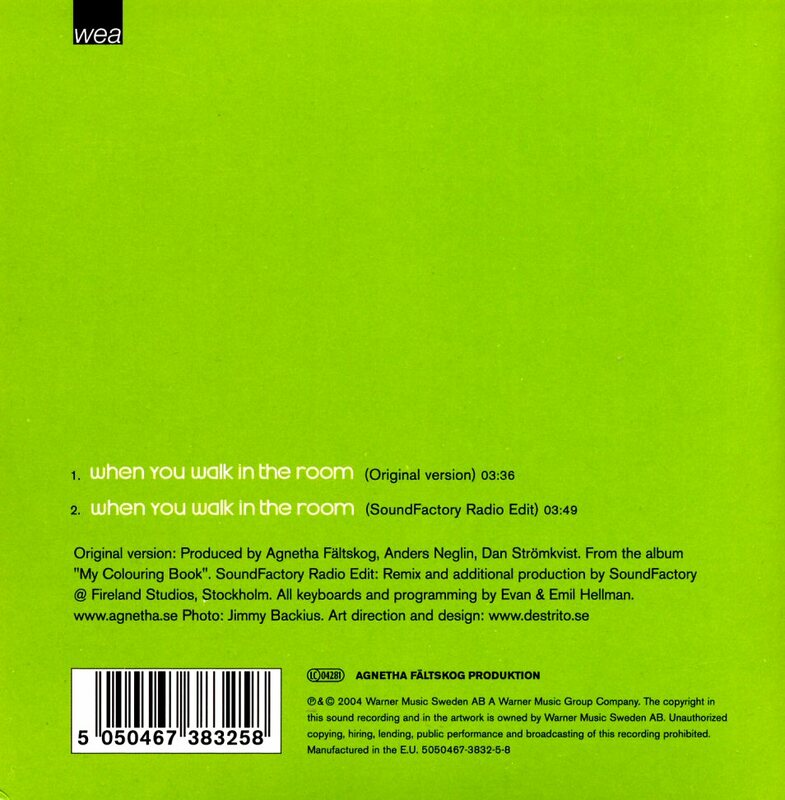 The "orange" single released in Great Britain featured 6 versions of the song and the video. 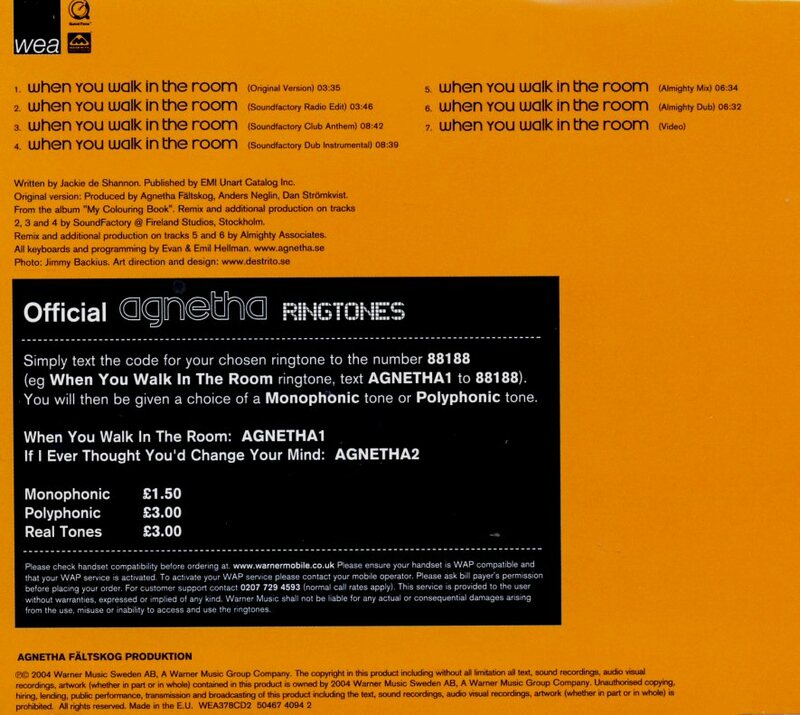 The 2004 compilation "13 hits" was a low budget production featuring songs from Agnetha's two first English language albums released in 1983 and 1985. 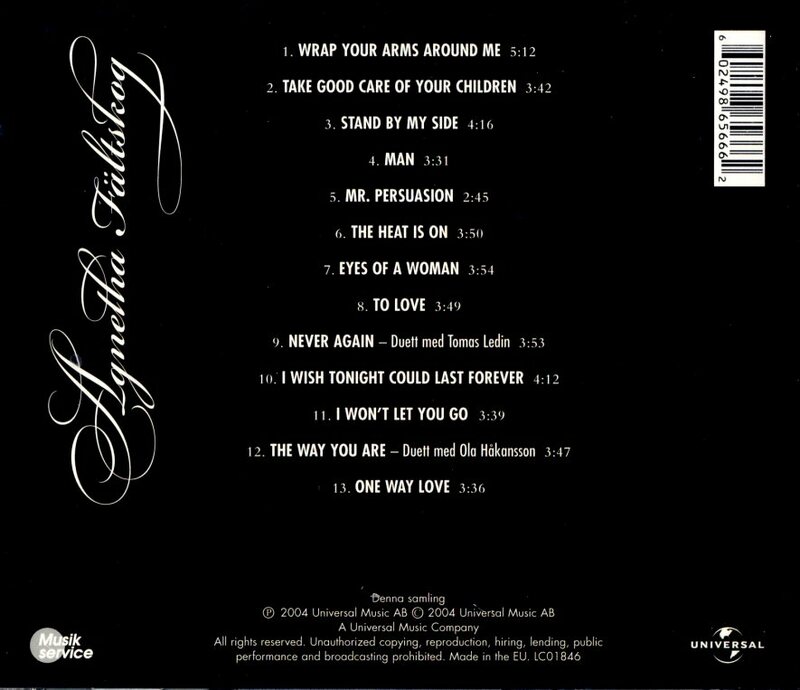 Two single hits "Never Again" and "The Way You Are" were added as bonus tracks. 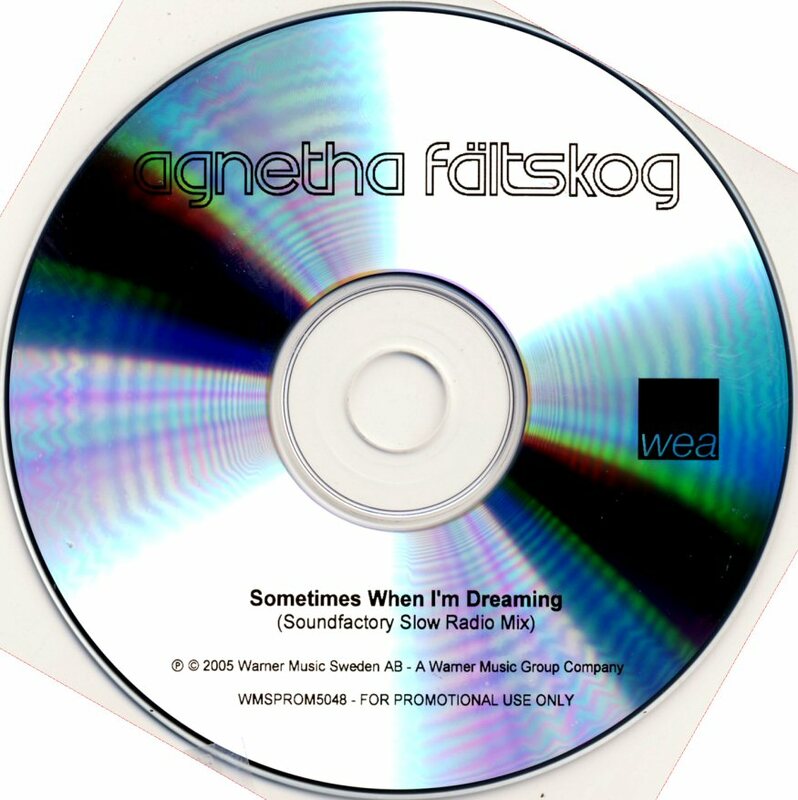 "Sometimes When I'm Dreaming" was thought as the third single from "My Colouring Book" but the idea was abandoned by Warner and only a limited edition of the single containing the Soundfactory mix of the song was sent to Swedish radio stations on 15 December 2004. 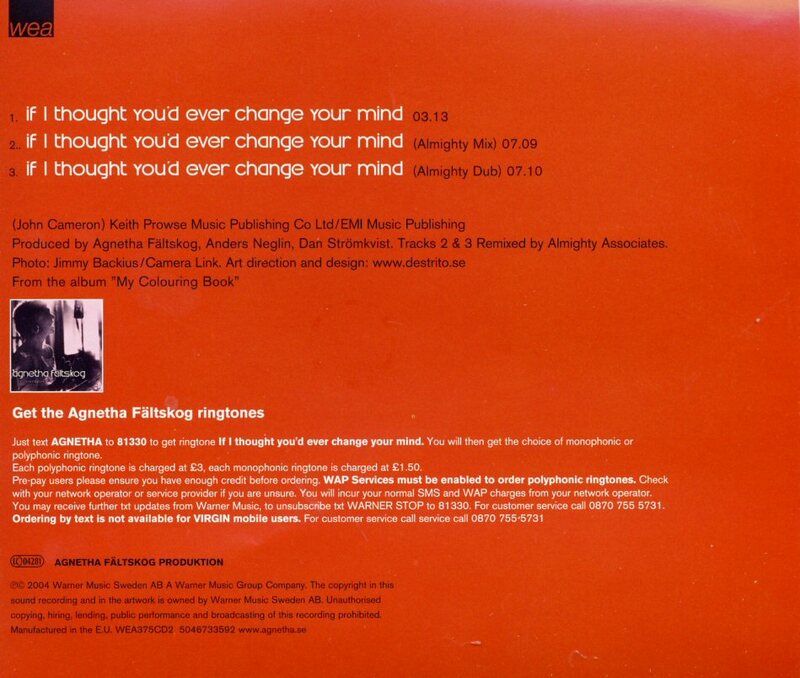 The sticker on the single's cover informed about the forthcoming TV4 interview with Agnetha. 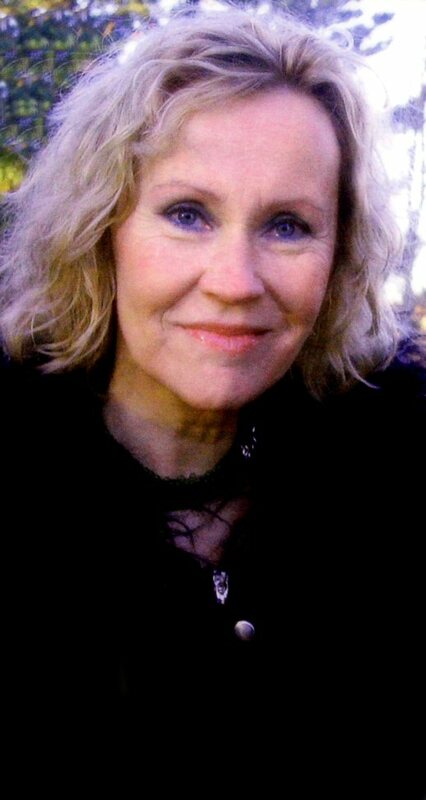 The interview with Agnetha that had its premiere on TV4 in Sweden on Saturday Dec 18 was aired for the second time on Tuesday Dec 21 in a shortened version. A very nice release containing all solo production officially released on LPs and SPs during the period of 1967-1979. 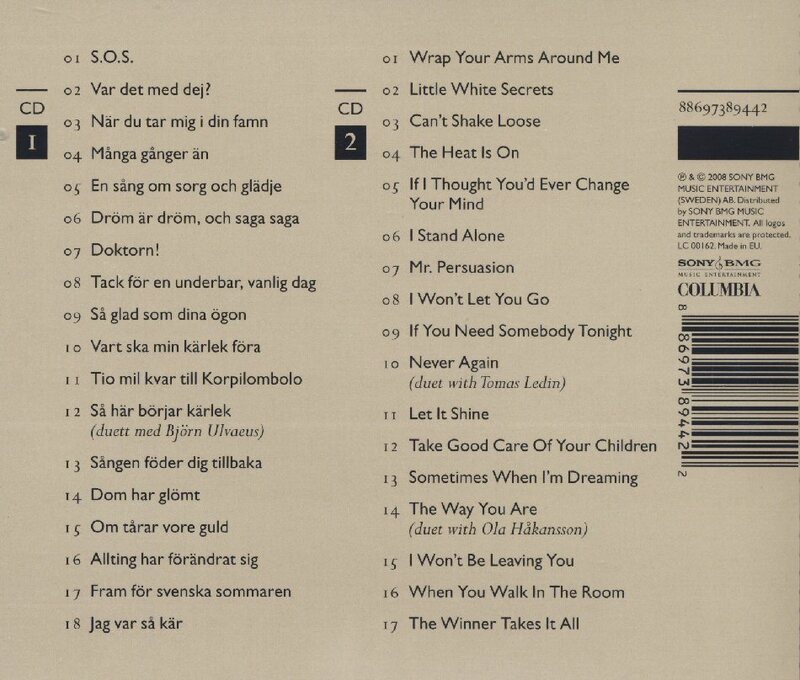 The booklet was written in two languages (Swedish and English). 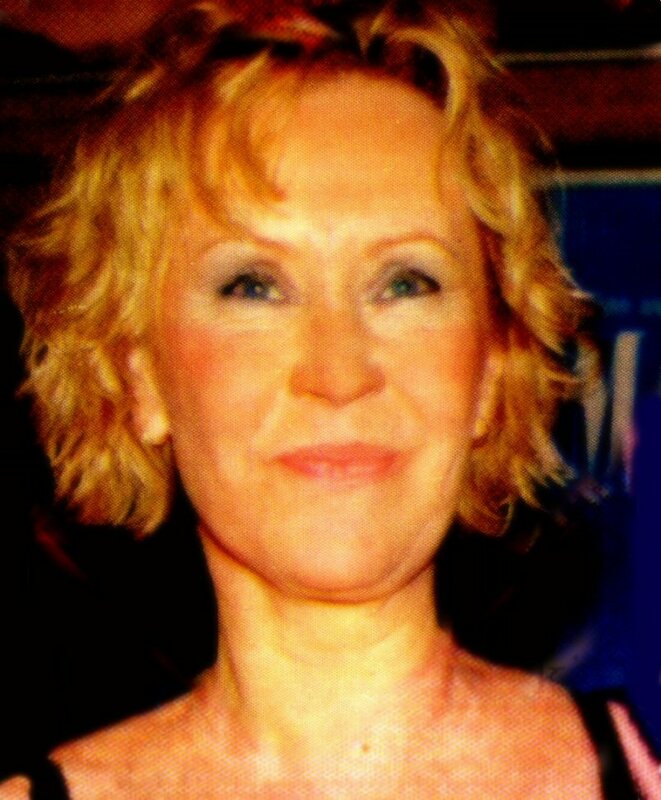 Agnetha's solo career was described professionally and some less known pictures of Agnetha were included in the booklet. 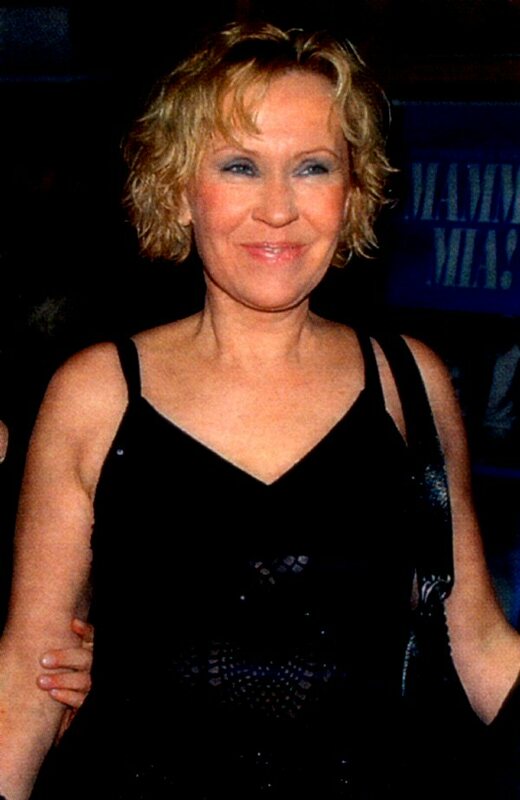 Agnetha attended the premiere of the musical "Mamma Mia" in Stockholm on 12 February 2005. 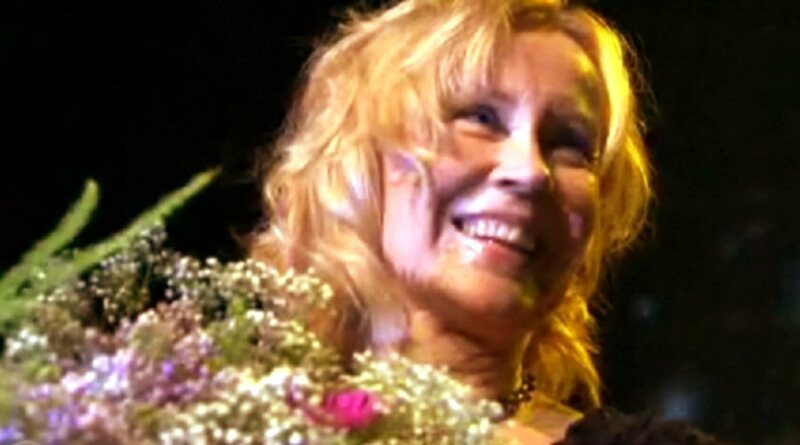 Three Agnetha remasters were released in the summer 2005. 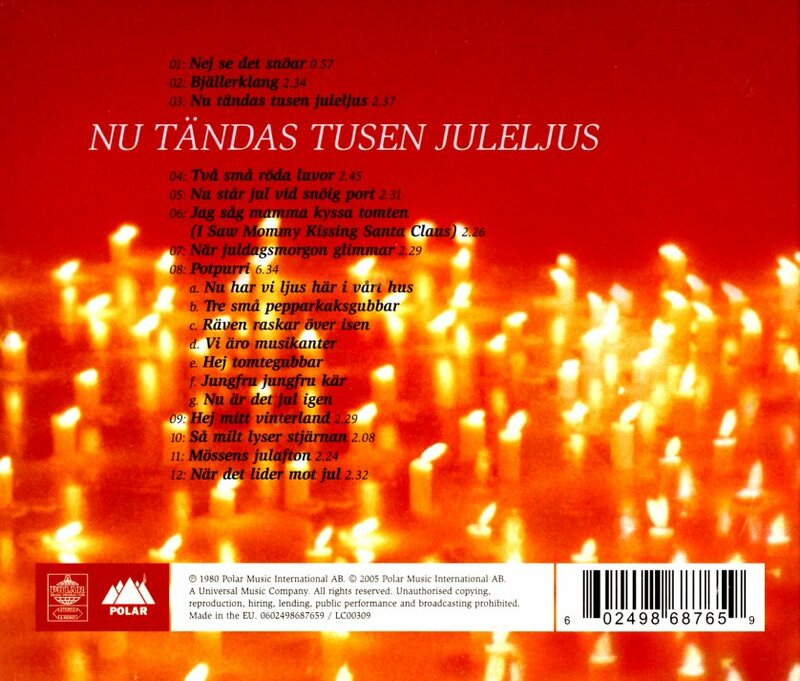 The re-released albums were "Nu tändas tusen juleljus", "Wrap Your Arms Around Me" and "Eyes of A Woman". Several bonus tracks were added and the booklets contained the lyrics and pictures of SP covers from different countries. 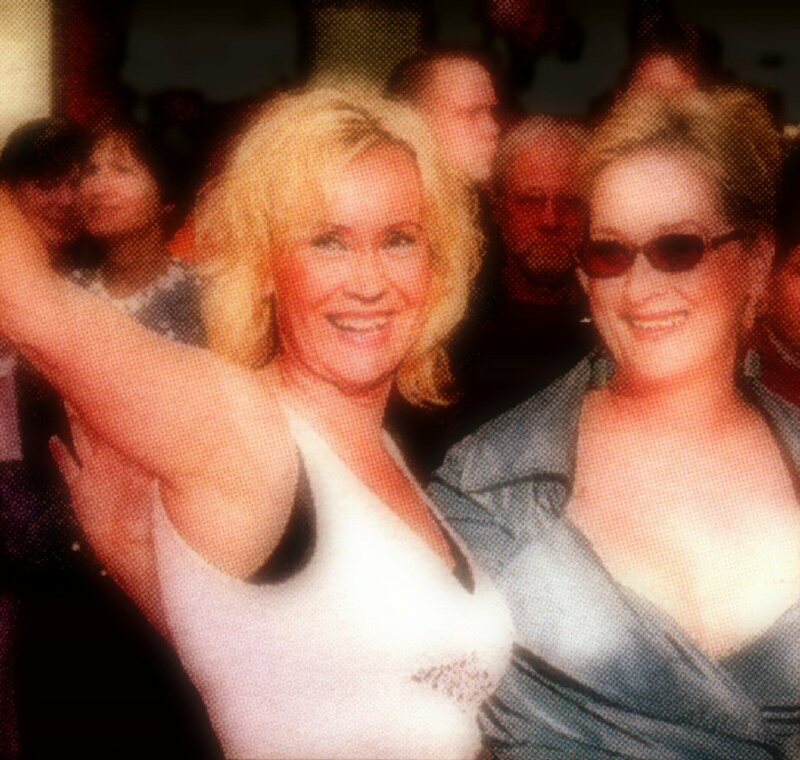 Agnetha attended the last show of Mamma Mia at Cirkus in Stockholm on January 7th, 2007. 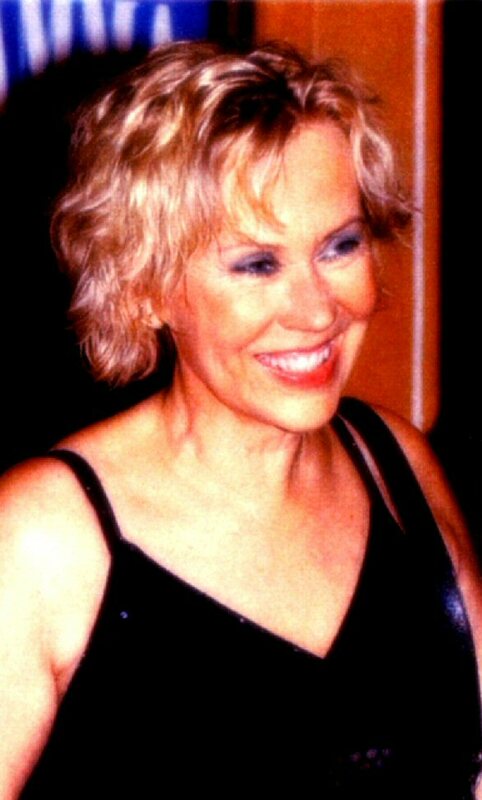 Agnetha participated in the big party in Stockholm organized by TV 3 celebrating its 20th anniversary on 23 November in Nacka outside Stockholm. 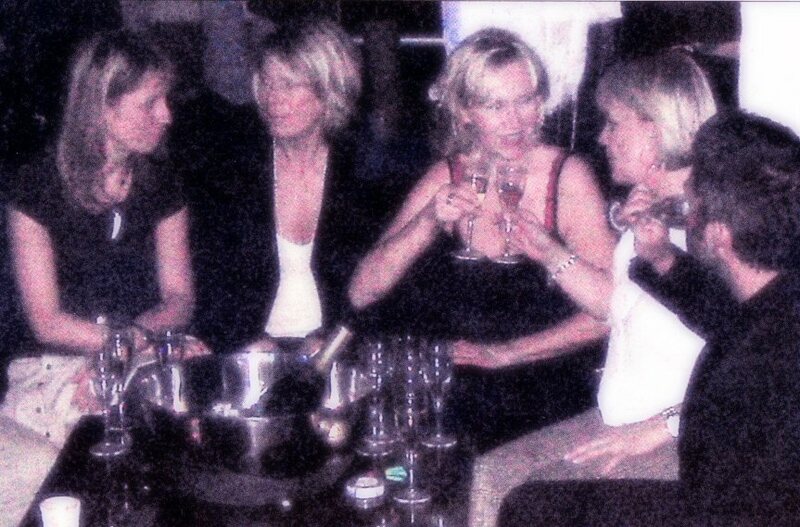 She enjoyed the party together with her friends. She danced a lot with the press chef of TV3 Max Lagerbäck (37) which caused a lot of rumours in the press all over the Europe about a possible love-affair between them two. 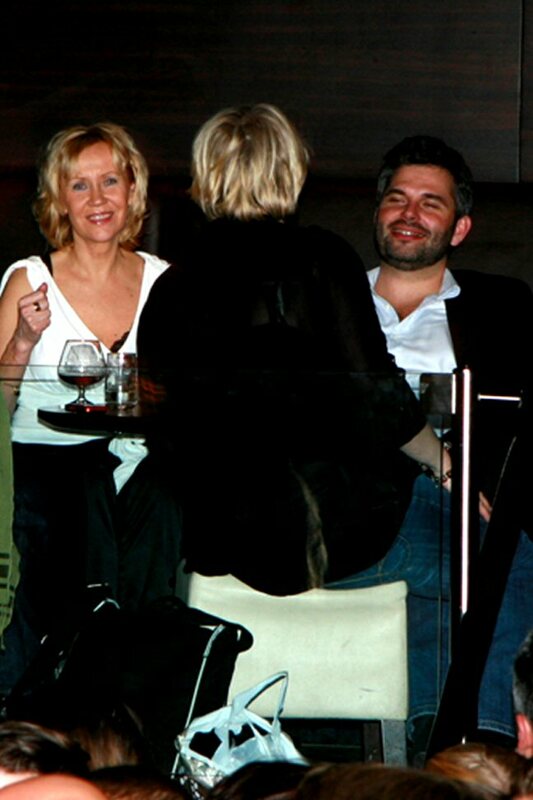 Agnetha was seen at the night club "Village" in Stockholm (Norrmalmstorg) on Saturday February 16th. 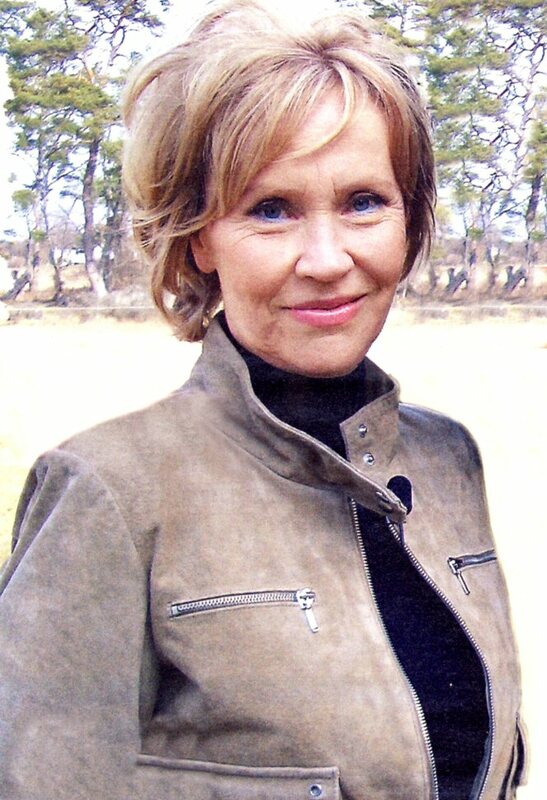 She was there in the company of Max Lagerbäck of TV3. 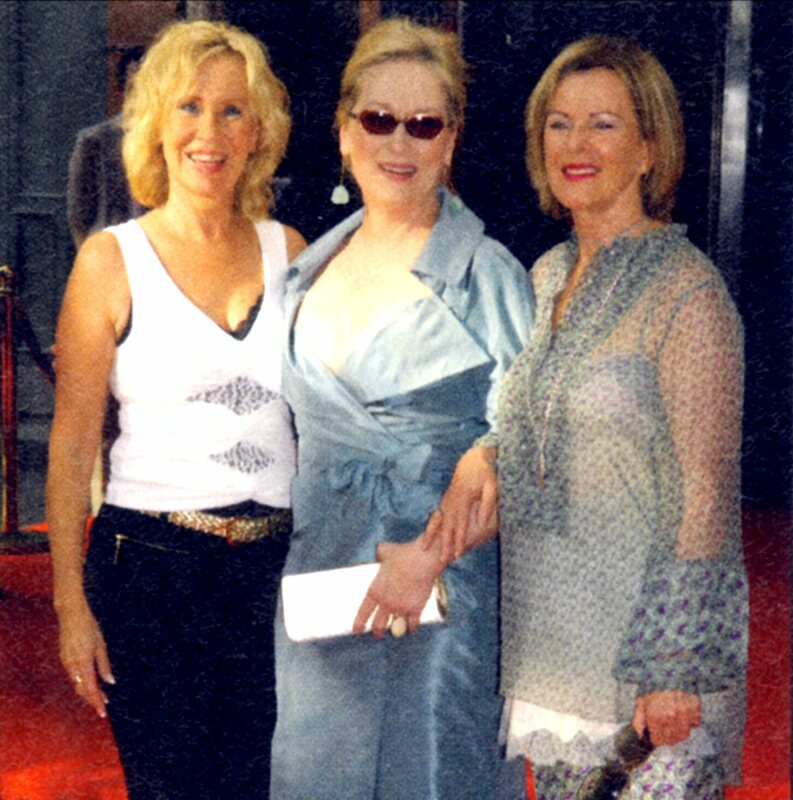 Agnetha attended the gala premiere of Mamma Mia The Movie in Stockholm on July 4th, 2008. 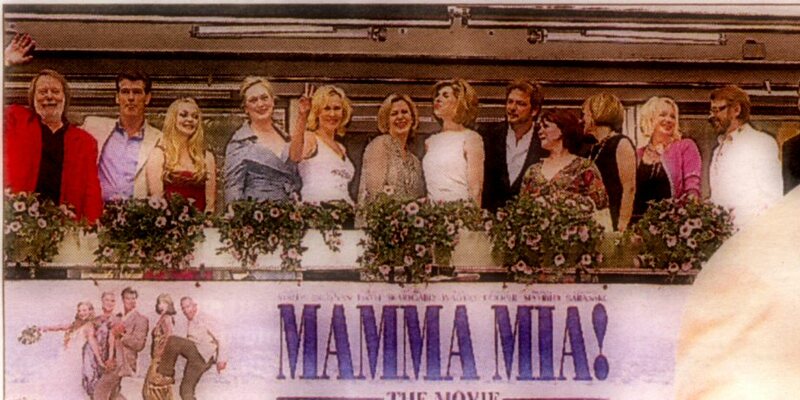 More pictures in the Mamma Mia Section. The double CD "My Very Best" was released in Sweden on October 8, 2008. 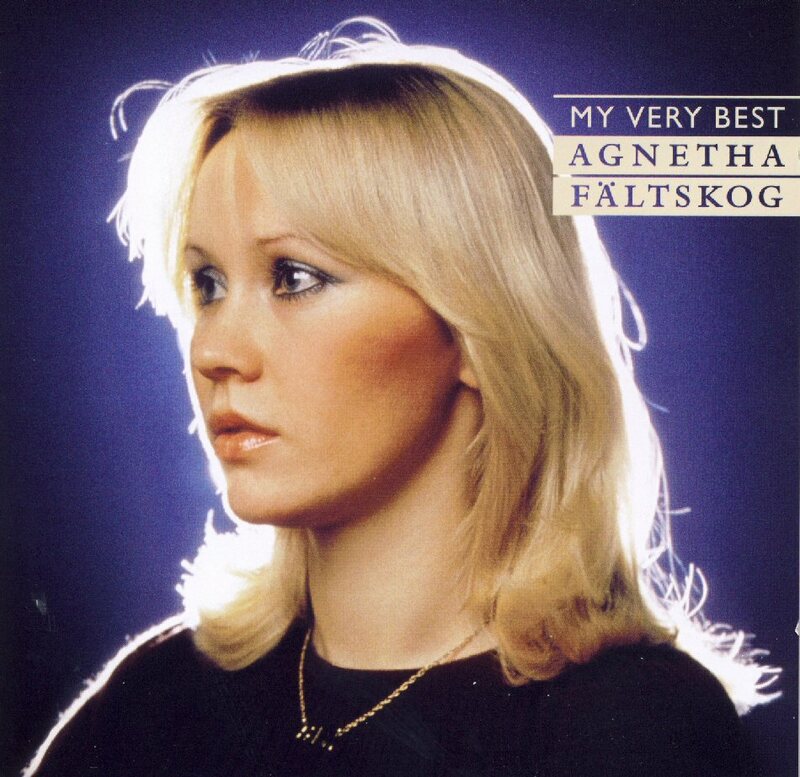 The compilation features 35 Agnetha hits and her personal favorites. 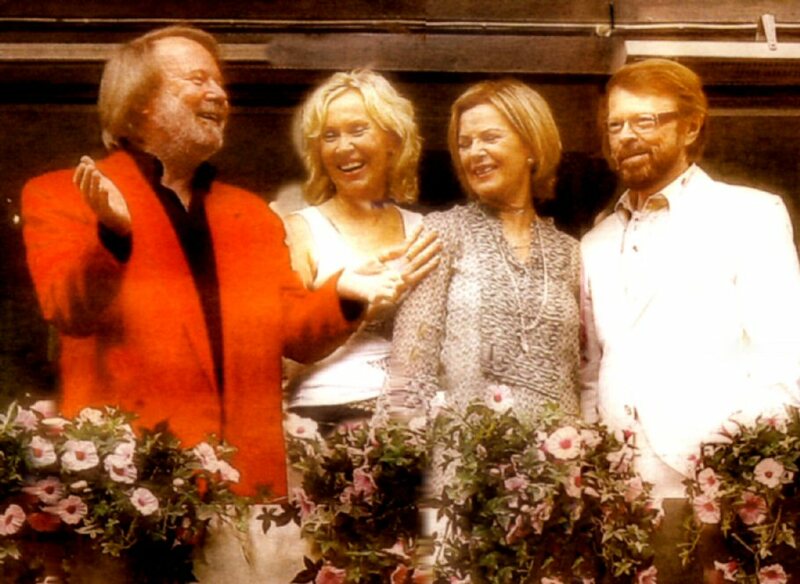 There are two ABBA related tracks: the Swedish version of "SOS" and "The Winner Takes It All". 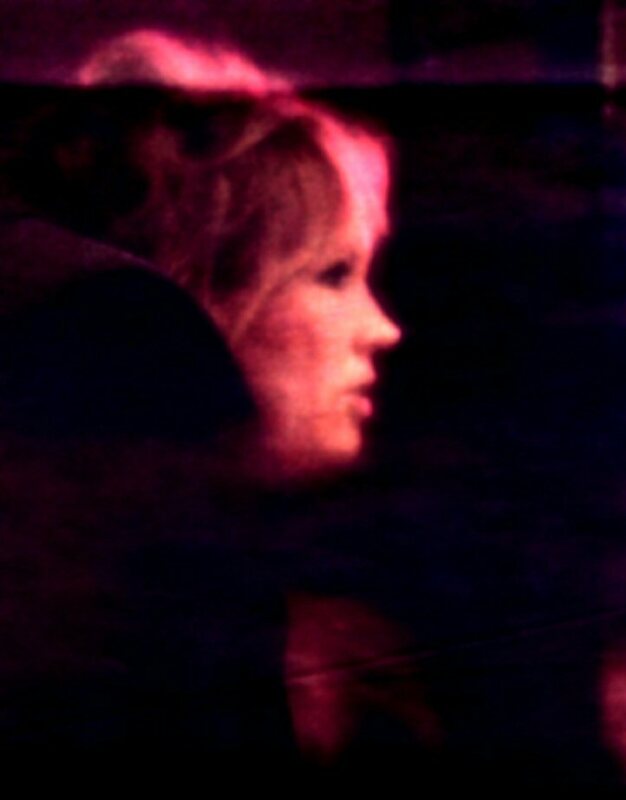 The singer wrote some words to her fans in the booklet as well as she participated in choosing the songs for this compilation. 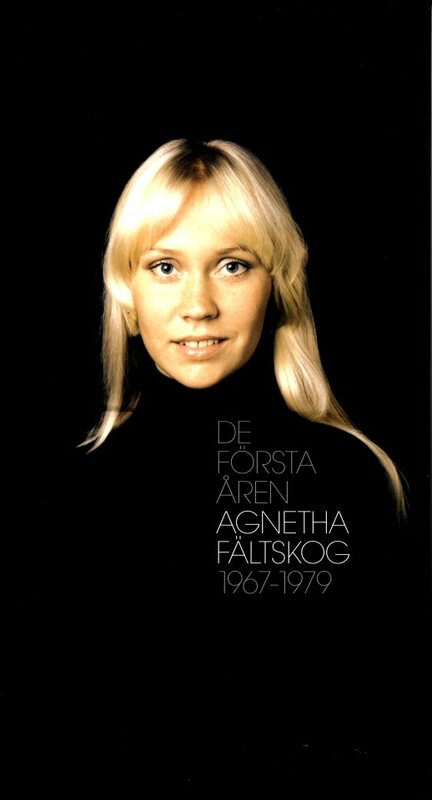 The first CD contains songs recorded between 1968 and 1979 and the second CD her songs released on her international albums after the ABBA period. 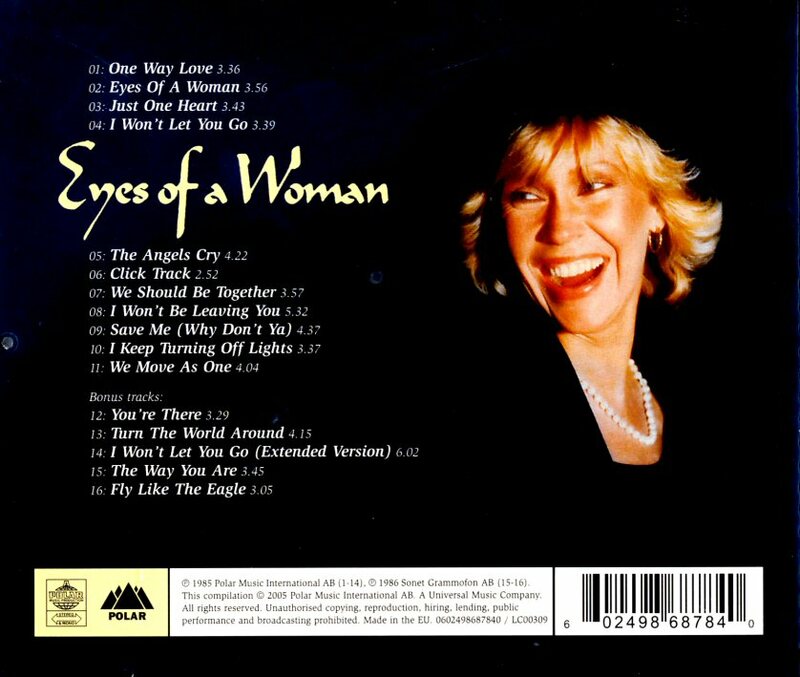 Some rare pictures are included in the booklet which besides the Agnetha greeting contains even lyrics to all the tracks on this double album. The box "Original album classics" saw its release in Europe at the end of 2008. 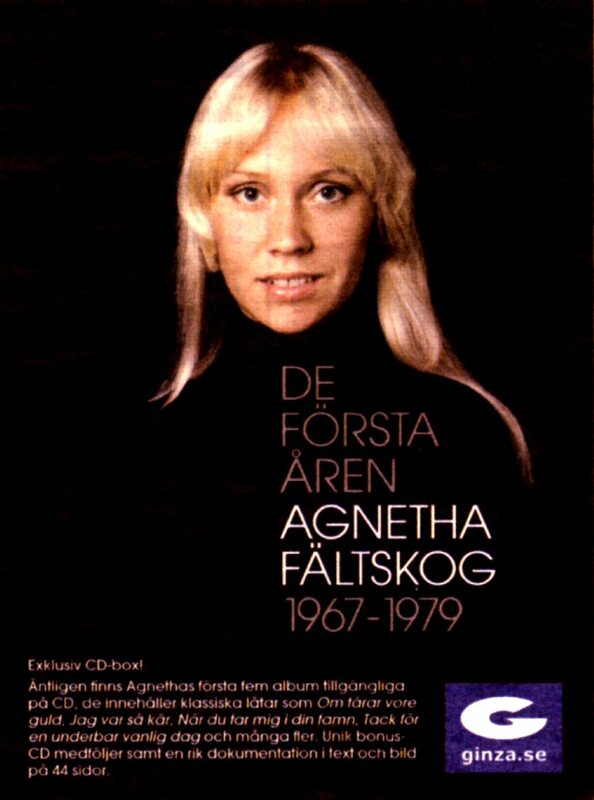 The box contained the first 5 original albums recorded by Agnetha in Swedish between 1968 and 1976. No bonus tracks were added on this release. 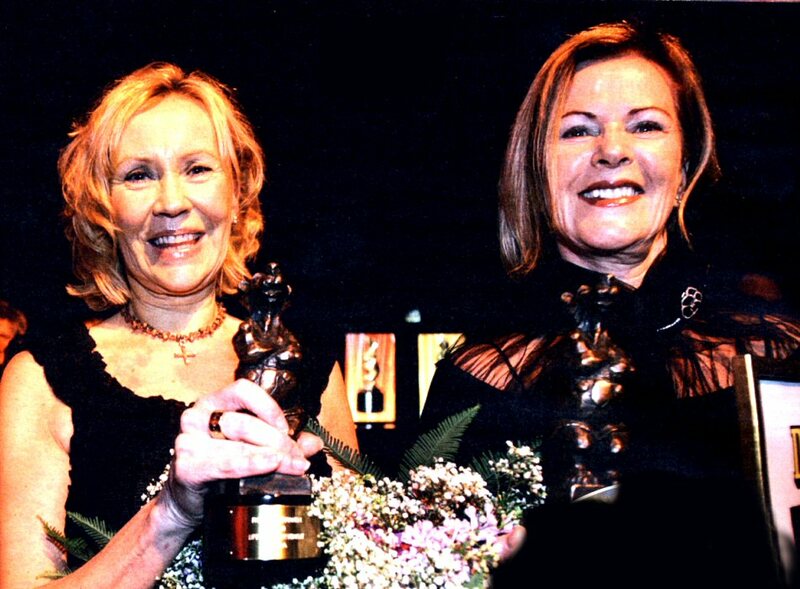 Agnetha and Frida represented ABBA when the Swedish Rockbjörnen prize for lifetime achievement was handed over on Thursday 22 January in Stockholm. 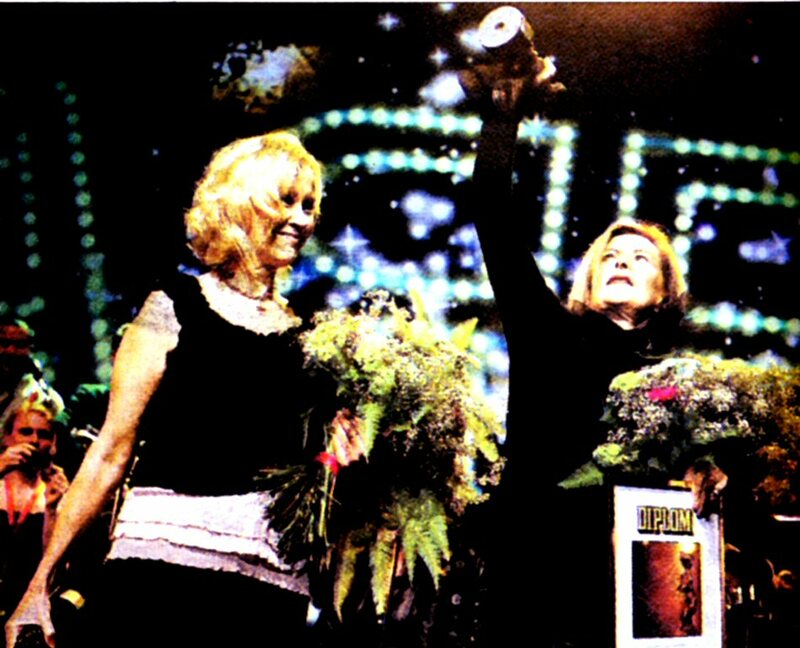 The both stars were interviewed in 9 minutes on stage. 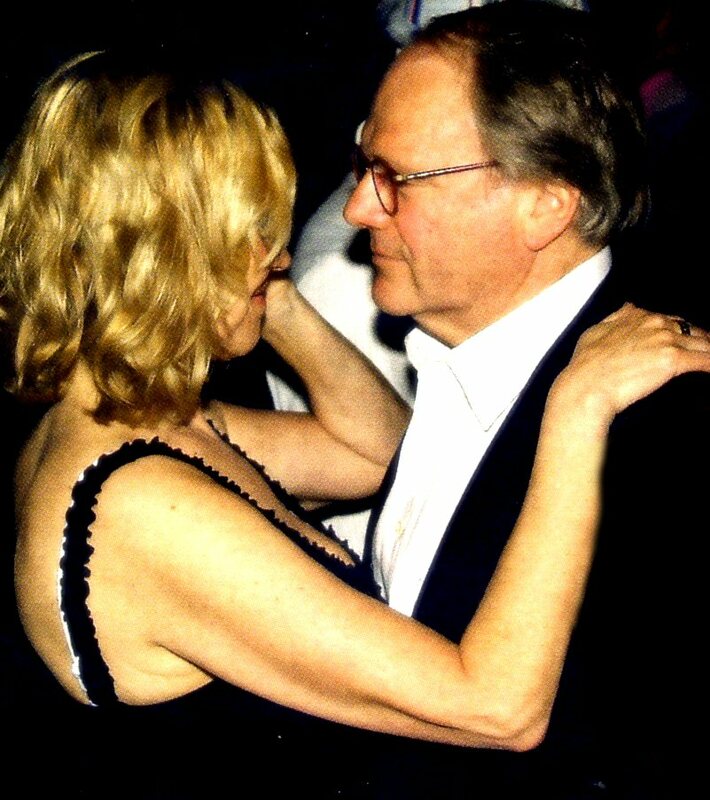 Agnetha said that they both were very sentimental that evening and they were talking about their time in ABBA. 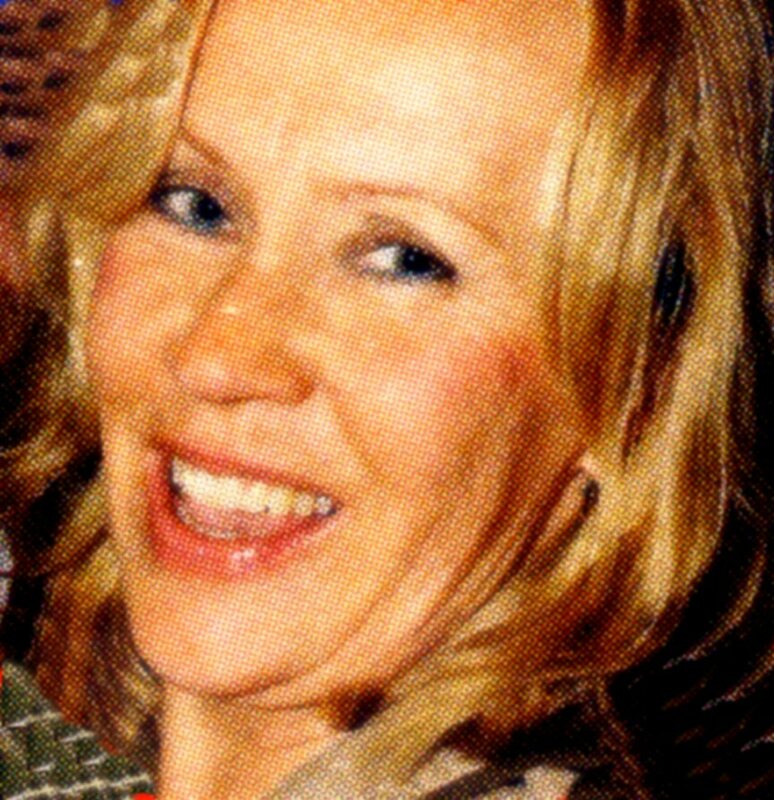 The Brita Åhman 1996 book about Agnetha Fältskog "Som jag är" (Sweden) has been translated into Dutch and issued at the beginning of March in Holland. 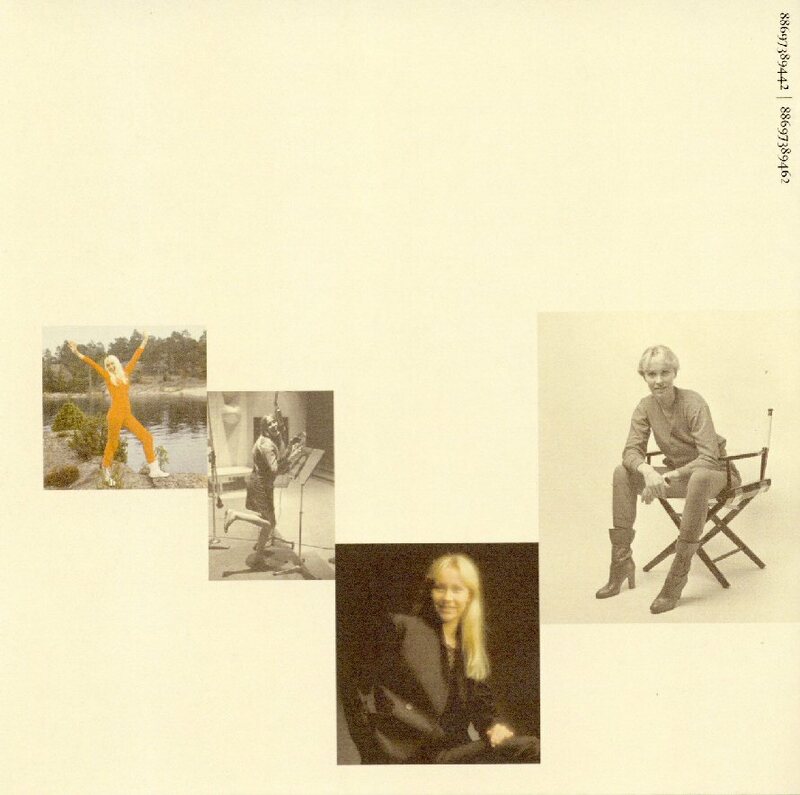 One of the people behind the idea of issuing this book is a Dutch ABBA fan Renée Lilieveld. 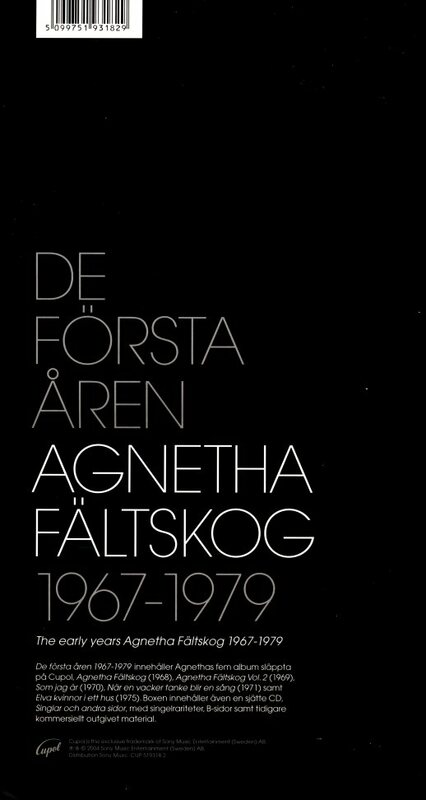 The book contains in 99% the same material as "Som jag är" in Dutch. 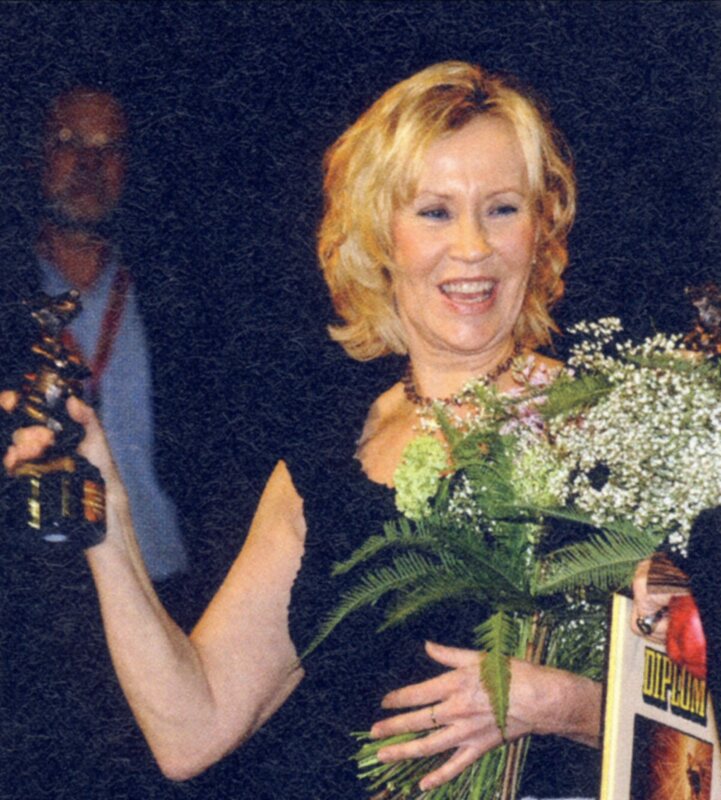 Excerpts from Agnetha TV interviews from 2004 have been added at the end of the book. 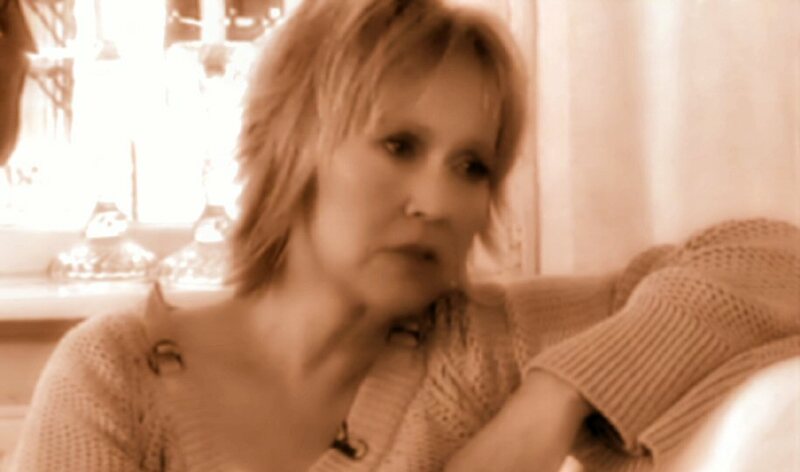 These excerpts are credited to Sveriges Television in December 2004 but it must be meant Swedish TV 4 as the only interview given by Agnetha in December 2004 was the one given to Lasse Bengtsson on TV4. 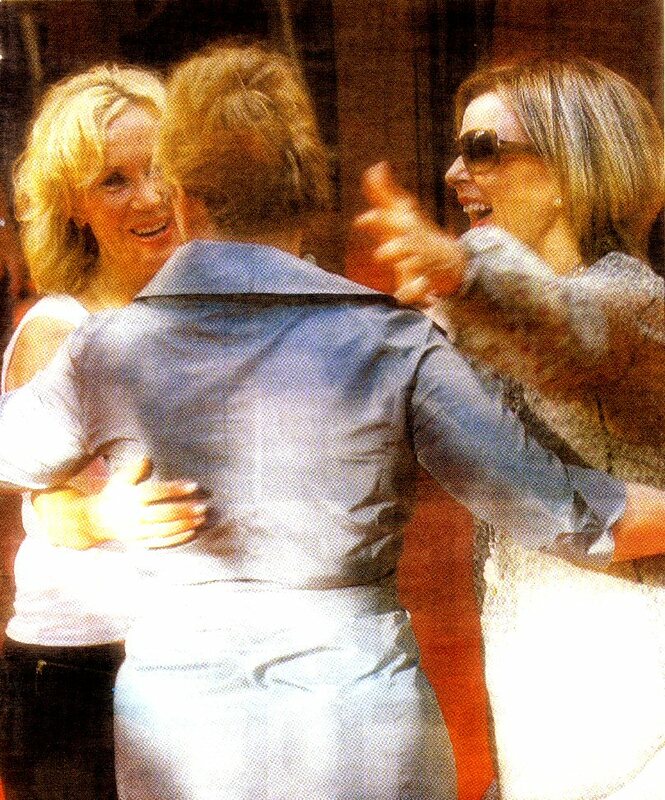 There are some previously unseen and rare pictures featured in the book but most of them are well-known. 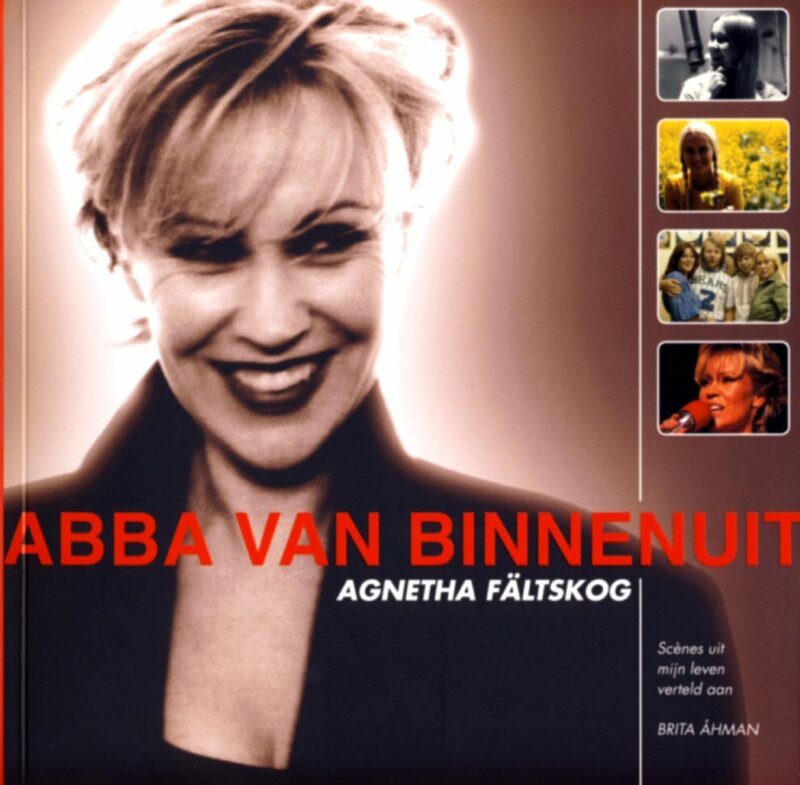 Nice gift for the Dutch fans of Agnetha & ABBA. 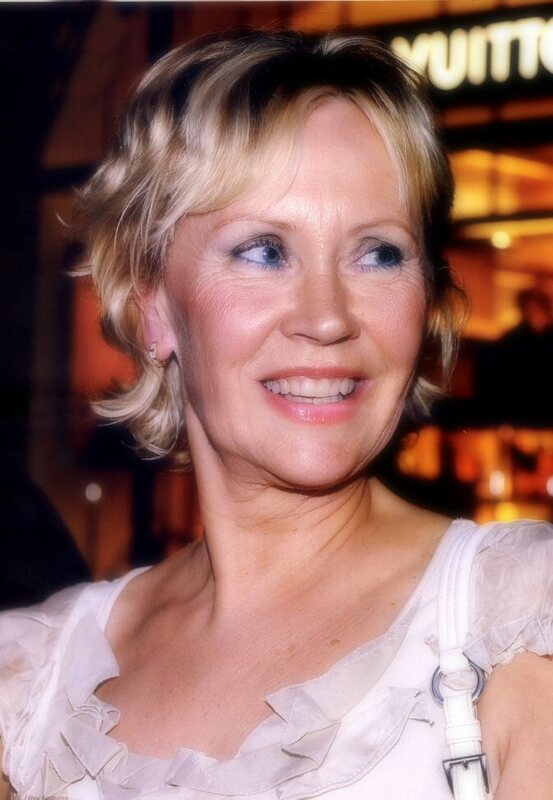 Agnetha attended the opening of a new Vuitton shop in Stockholm on 6 May 2009. 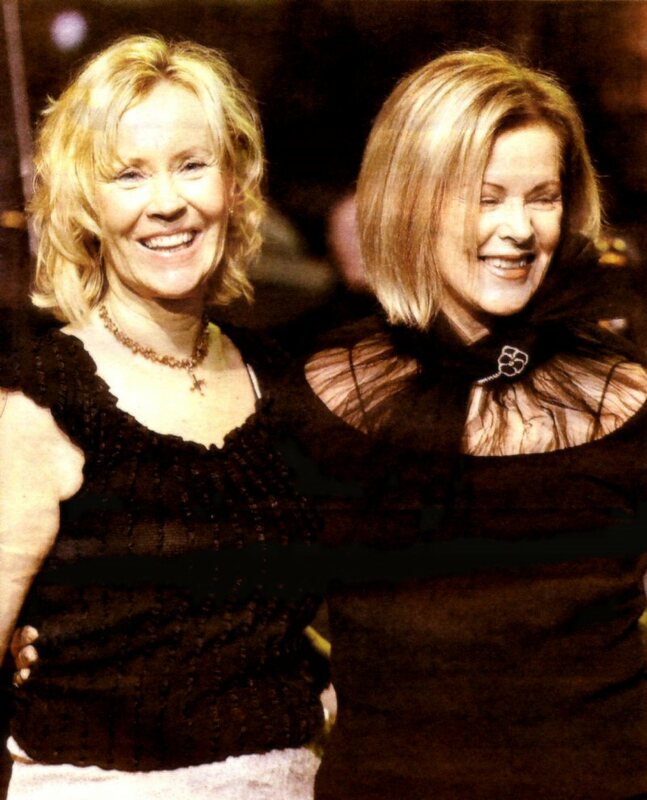 Agnetha and her daughter Linda attended the "Celebration of the arts" gala at the Stockholm City Hall on 18 June 2009. 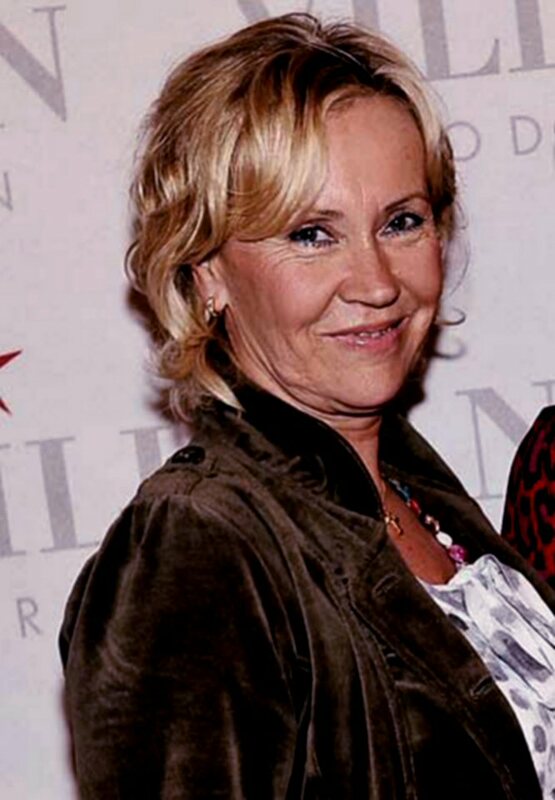 Agnetha was one of the guests at the party arranged by Villman AB at Vasa Theatre in Stockholm on 7 September 2009.